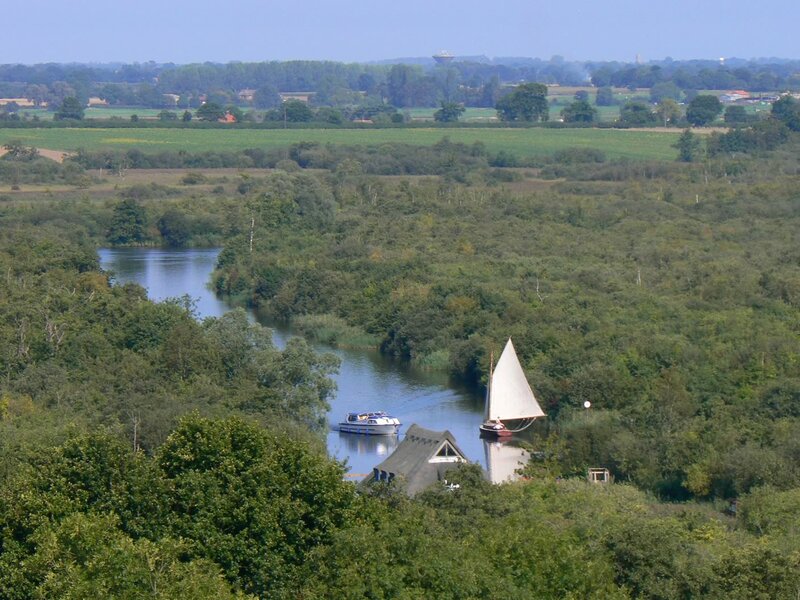 One of the UK's largest and finest wetland landscapes. 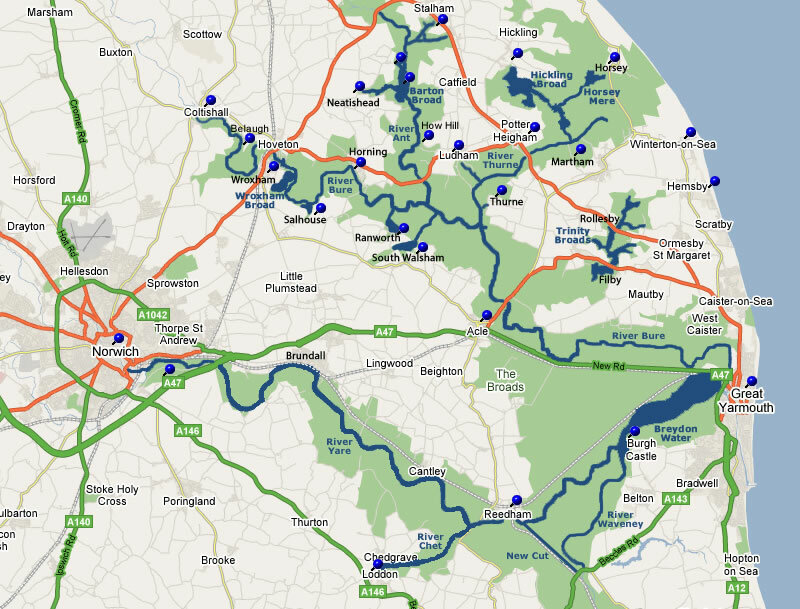 A unique patchwork of lakes, rivers, woodland, marsh and wide open skies. 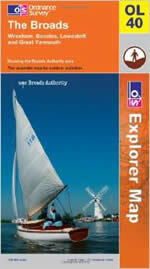 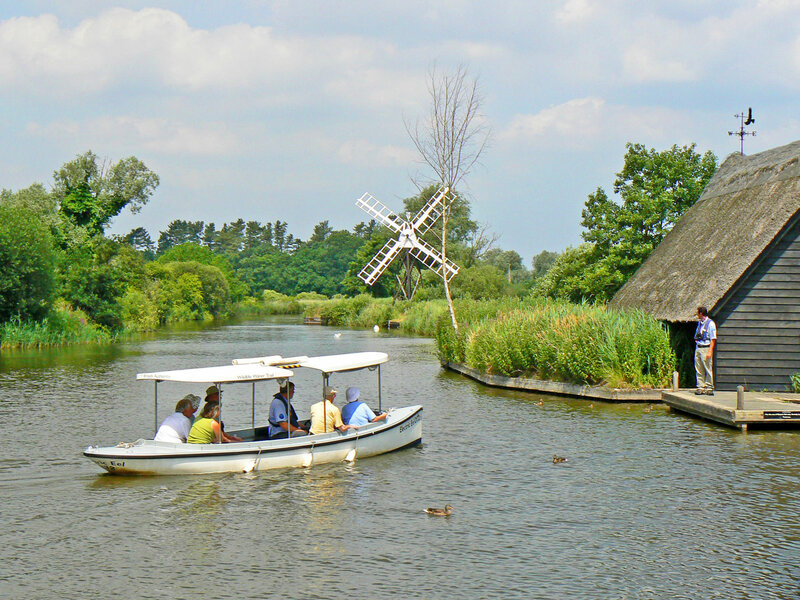 The Norfolk Broads is the UK's largest and finest wetland landscape. 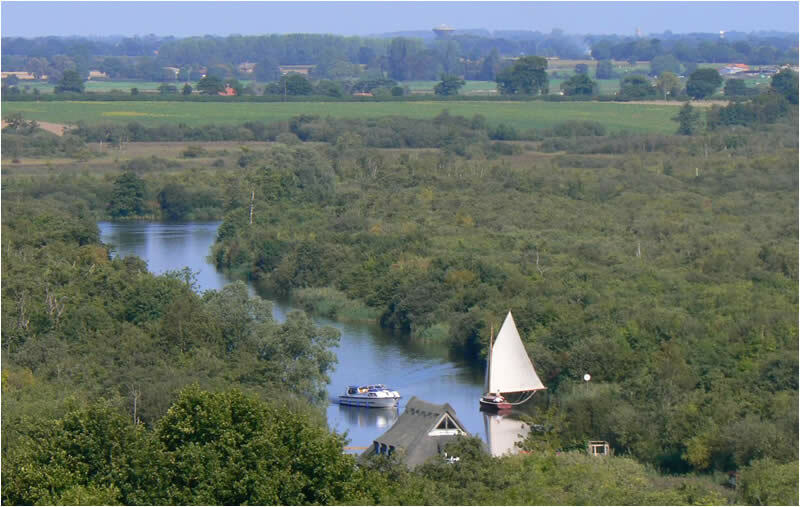 This unique patchwork of rivers and lakes is not, as was first thought, a natural landscape, but a result of intensive digging of peat in the Middle Ages to provide fuel. 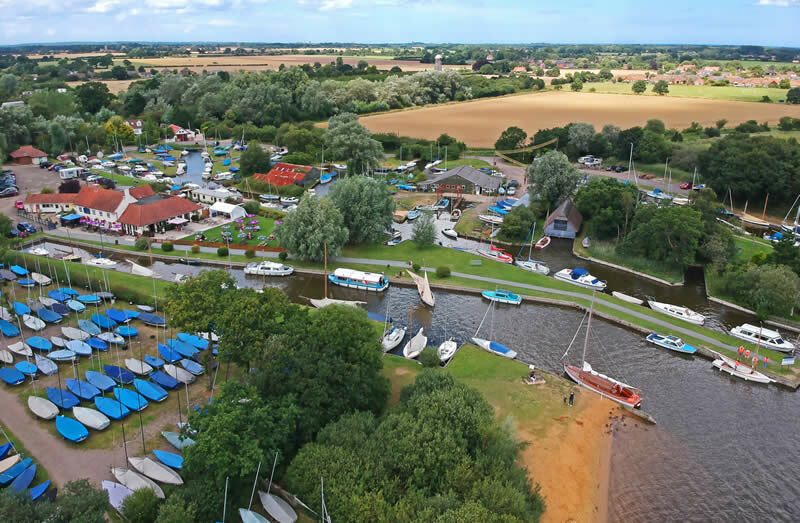 The empty pits were soon filled by rising water levels and now form a network of over 125 miles of navigable waterways providing leisure interest for many. 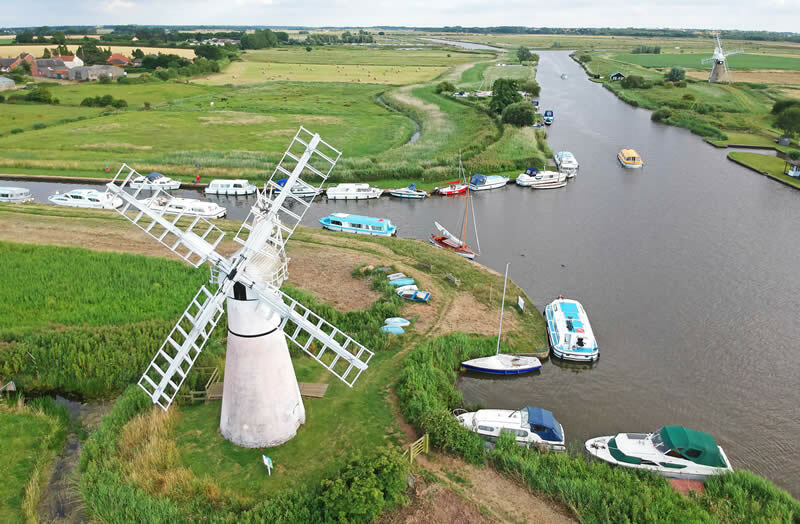 The Norfolk Broads landscape is one of beauty and peace, of water, marsh, woodland and wide skies - with views of church towers and windmills. 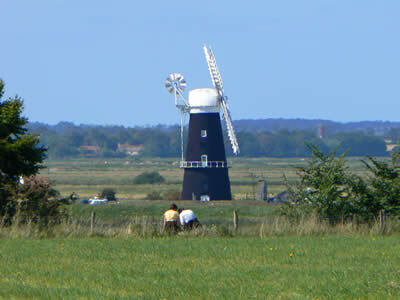 There is abundant wildlife including many rare butterflies and dragonflies. 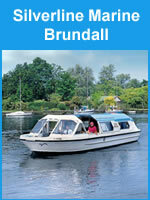 Some of the nature reserves can only be visited by boat and a tour by road can disappoint. 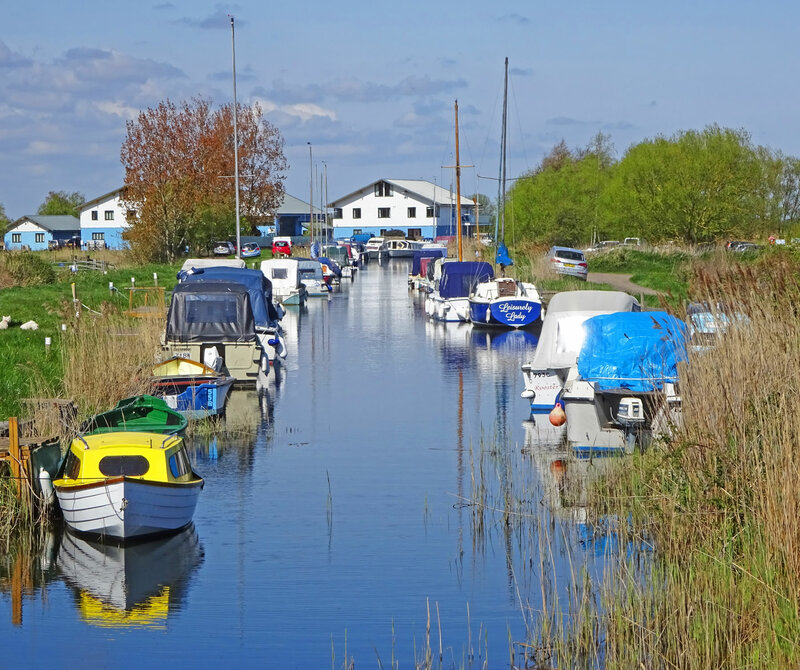 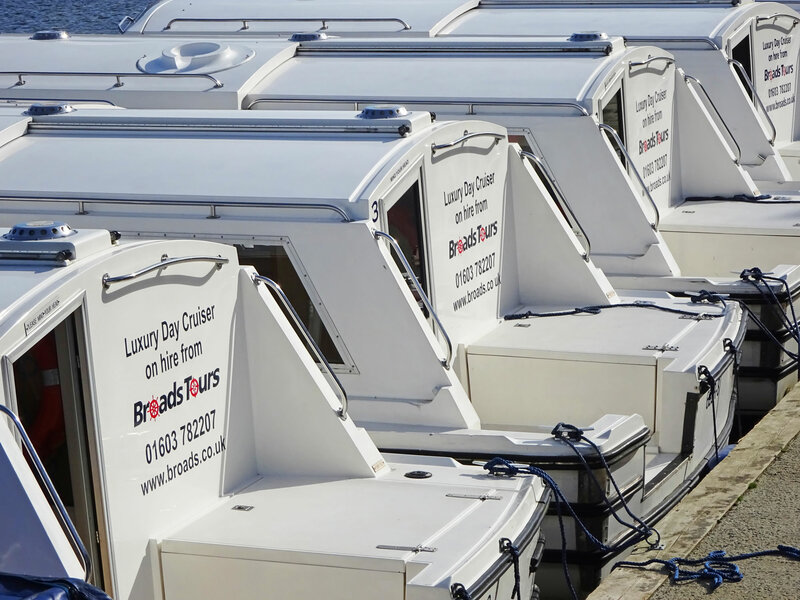 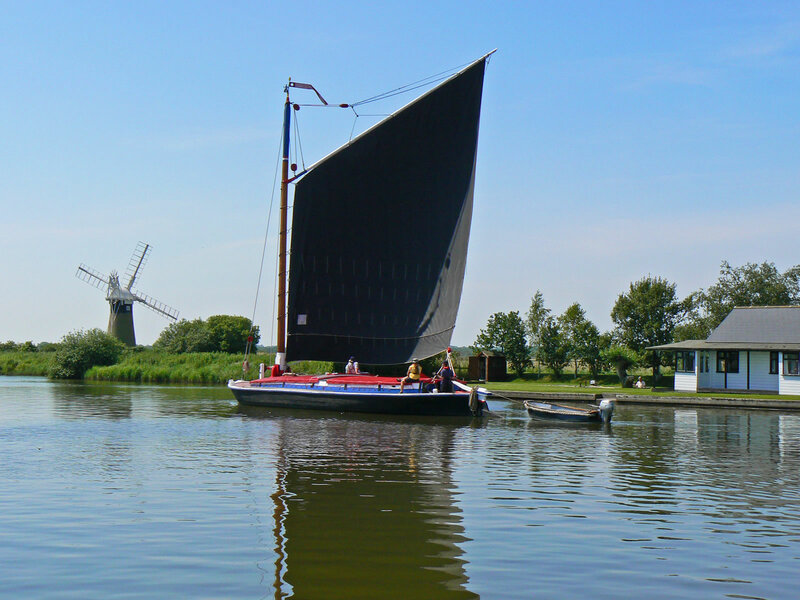 Visit Broadland and you can enjoy many activities including Norfolk Broads boating holidays, sailing, canoeing, kayaking, windsurfing, walking, fishing and cycling. 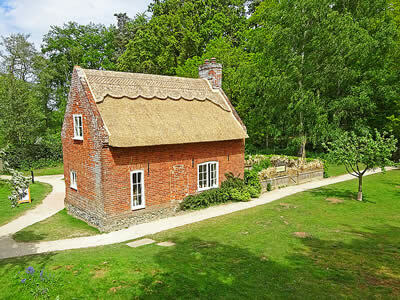 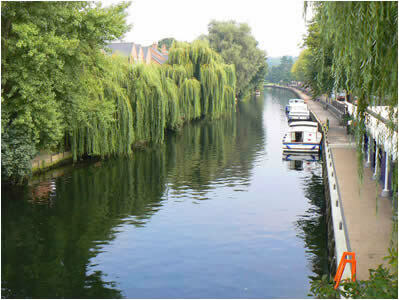 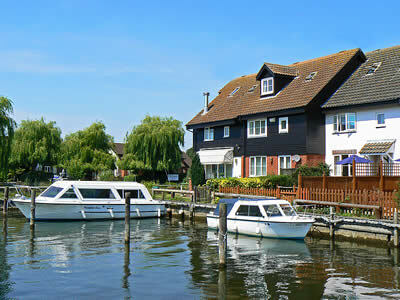 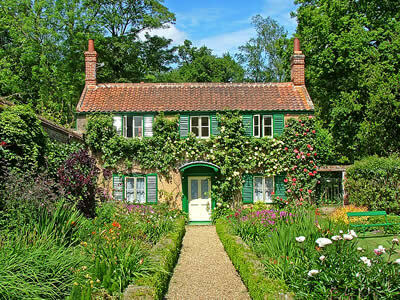 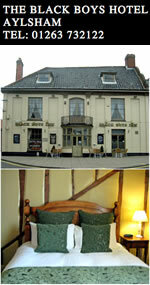 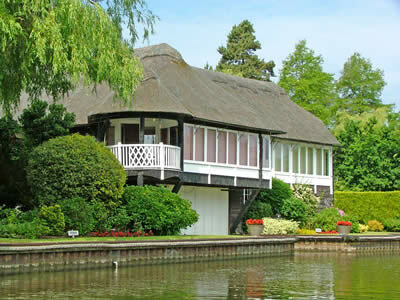 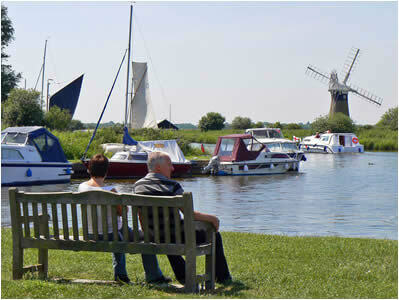 The Norfolk Broads has many lovely hotels, B&B, country cottages, parks and camping sites in which you can stay. 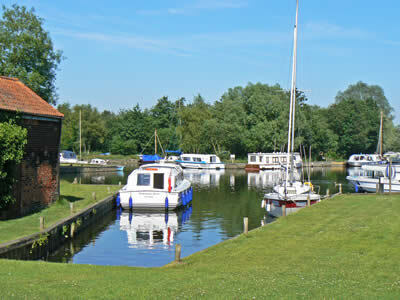 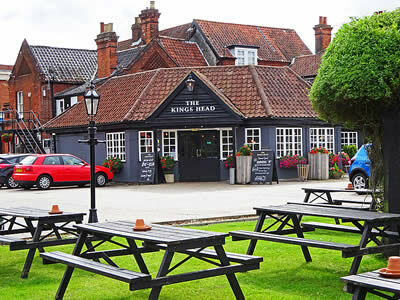 The Norfolk Broads are pet friendly and dogs are welcome in most local pubs and inns. 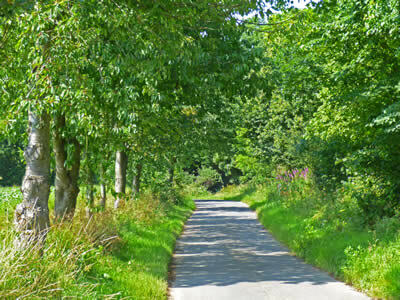 Please keep pets on leads when near wildlife. Most boat hire companies allow dogs on-board and we recommend pet life jackets are used. 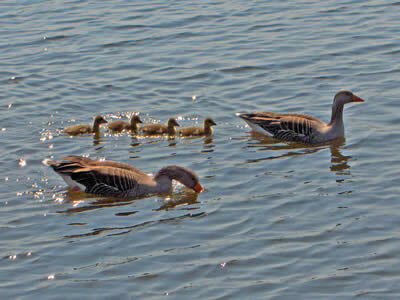 Kids love the water! 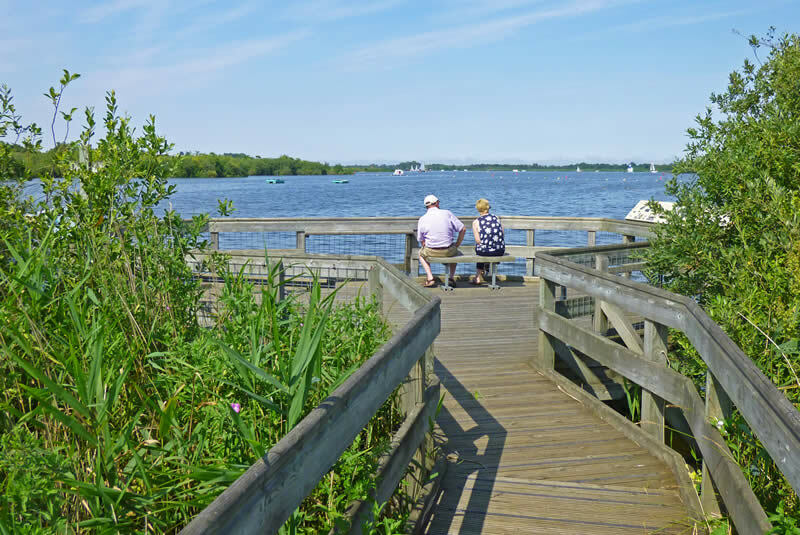 There is plenty of local wildlife to spot including birds and even a thriving Otter population. 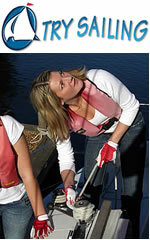 Make sure your child is wearing a life jacket at all times while near the water. 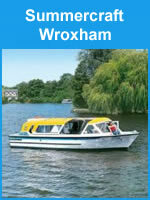 We start our tour of the Norfolk Broads in the Capital of the Broads - Wroxham. 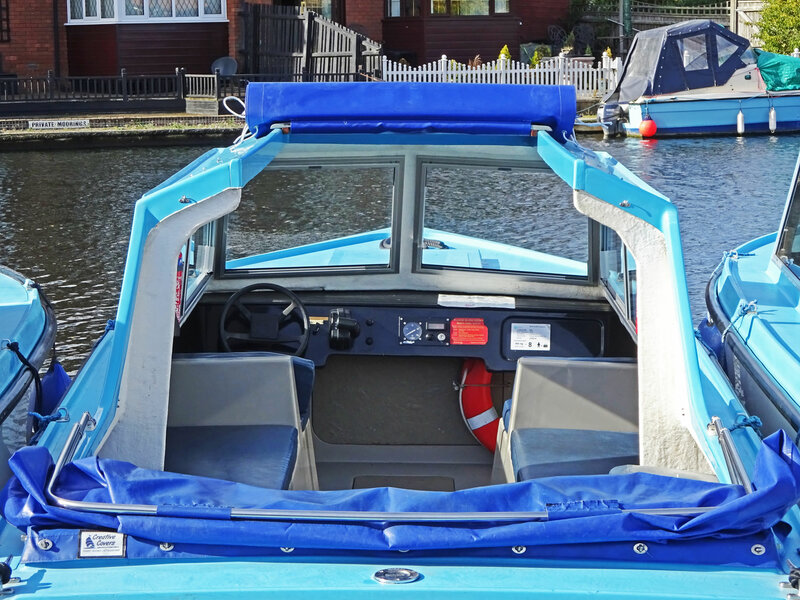 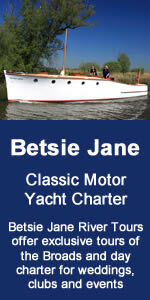 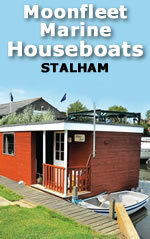 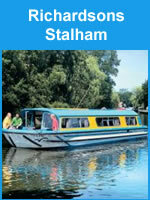 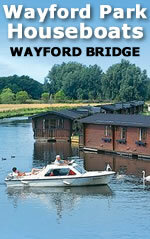 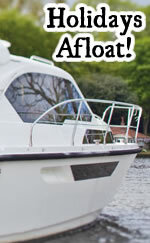 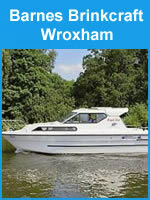 From Wroxham you can either hire your own self-drive cruiser for the week, weekend, day, or just for a few hours. 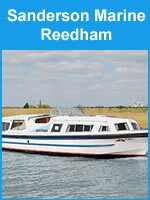 Alternatively, you can take an organised cruise aboard one of the large comfortable cruise boats. 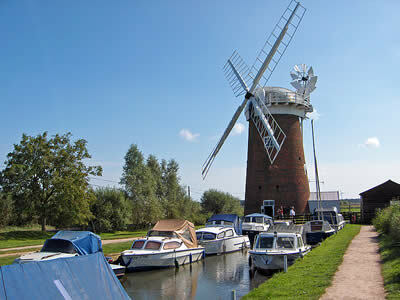 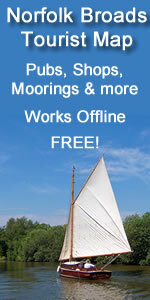 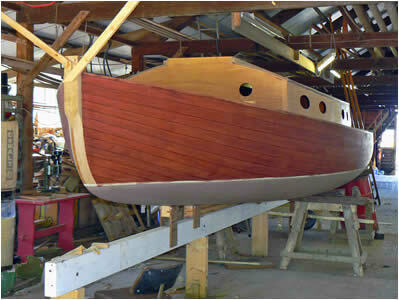 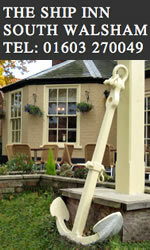 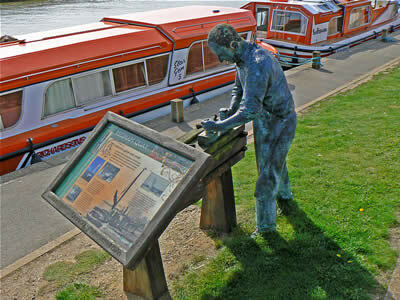 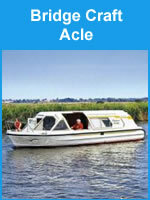 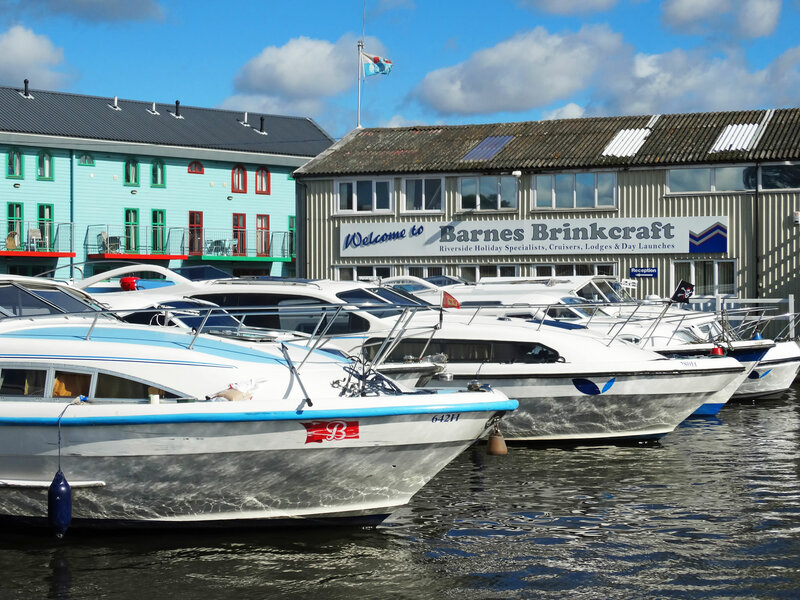 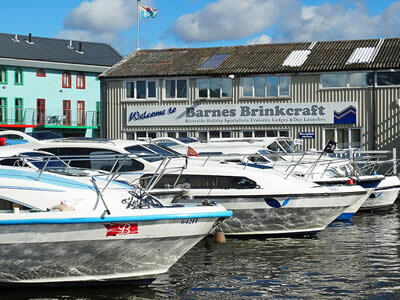 Norfolk Broads boating holidays date back to the 19th century, when John Loynes founded his boatyard business in 1878. 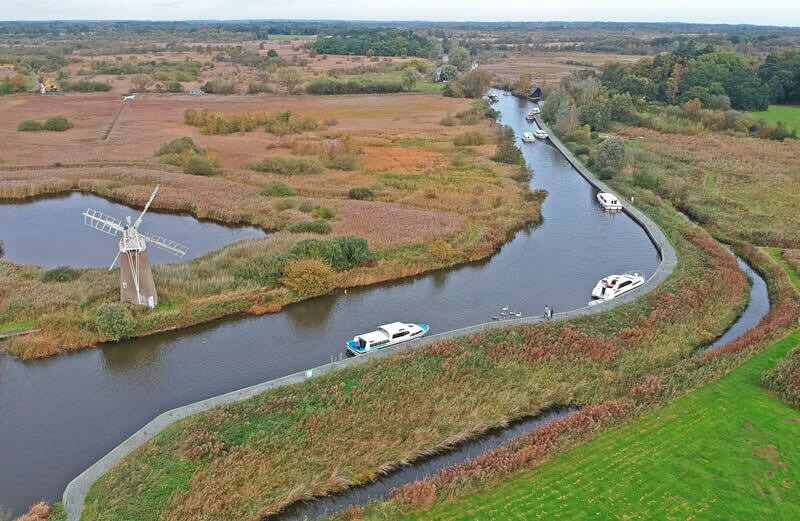 By the late 19th century, boating on the Broads by the Victorians had mushroomed into a substantial tourist trade and that trade continues into the 21st century. 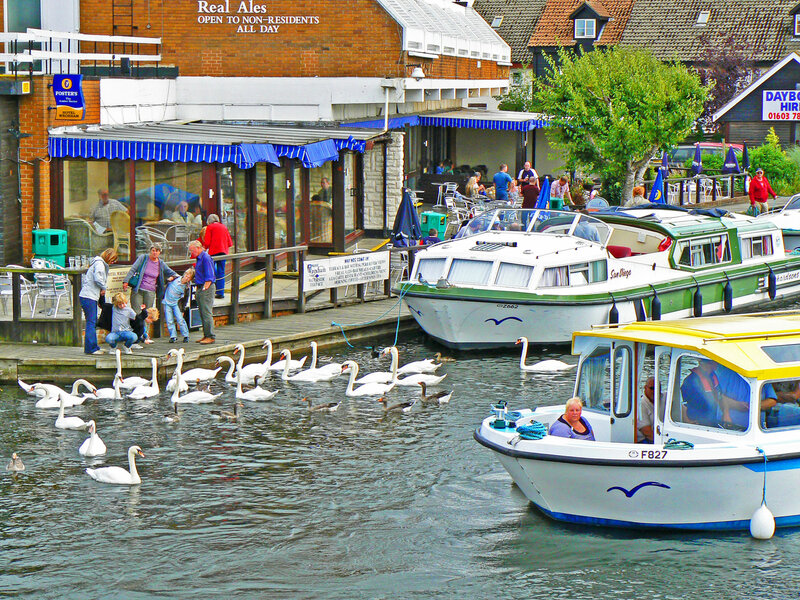 A typical Wroxham scene of boats, refreshments and feeding the ducks! 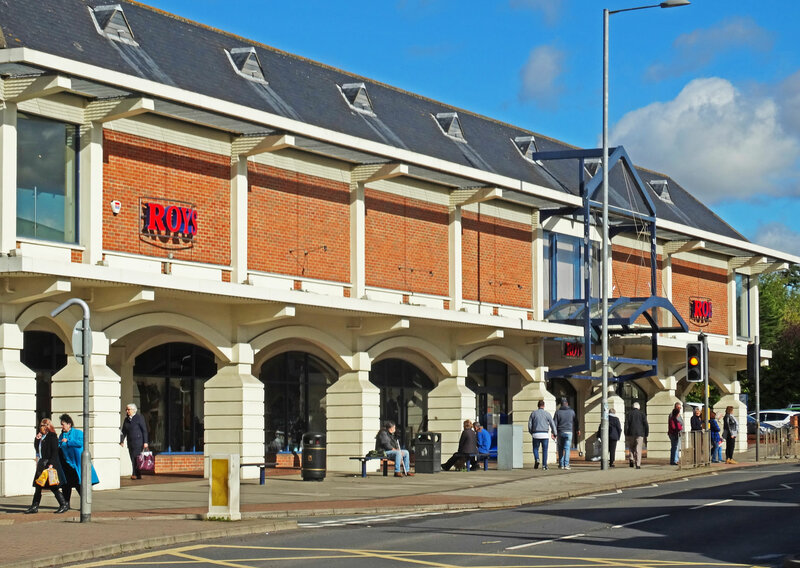 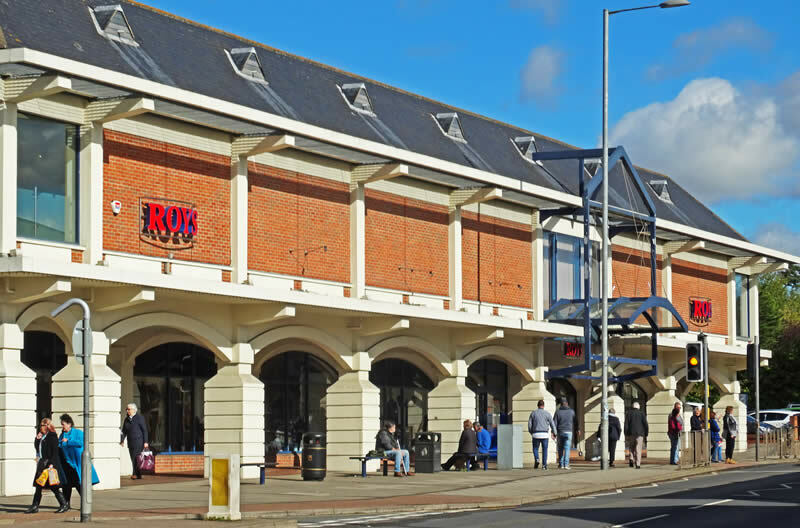 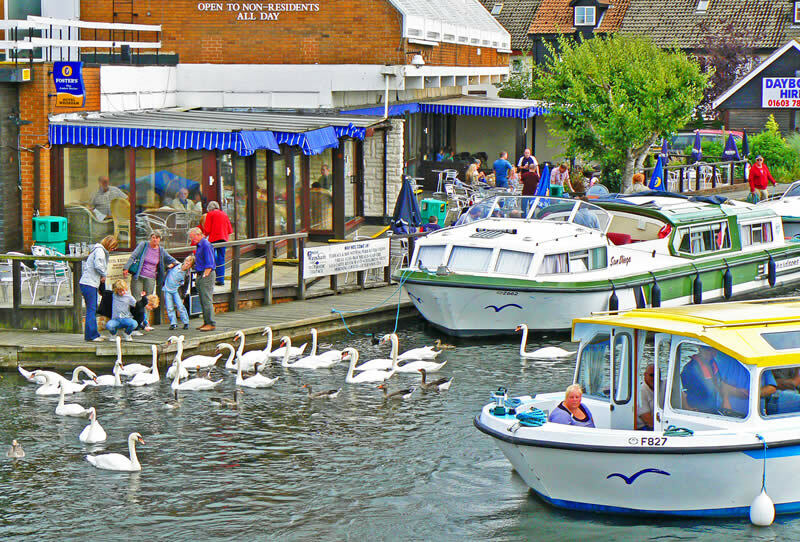 Wroxham is also good for shopping, it claims to have world's largest village store - ROYS - but also contains plenty of other independent retailers. 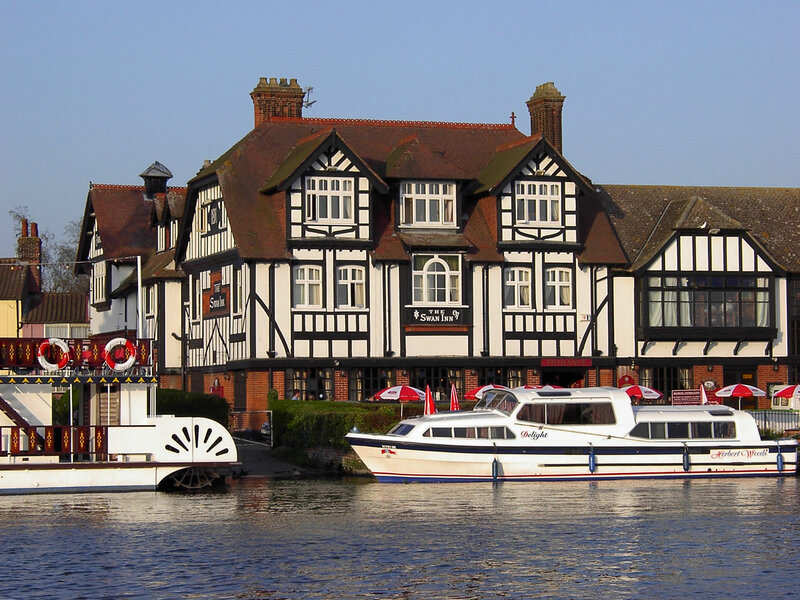 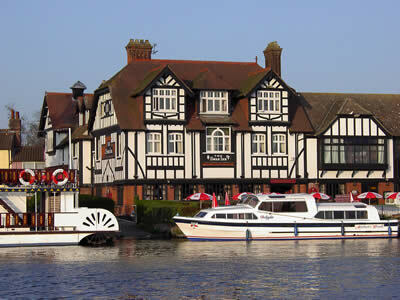 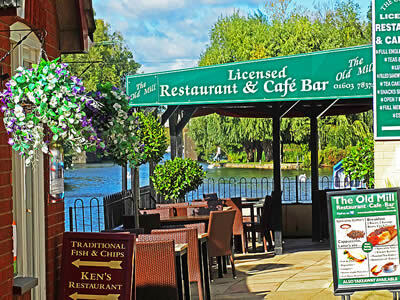 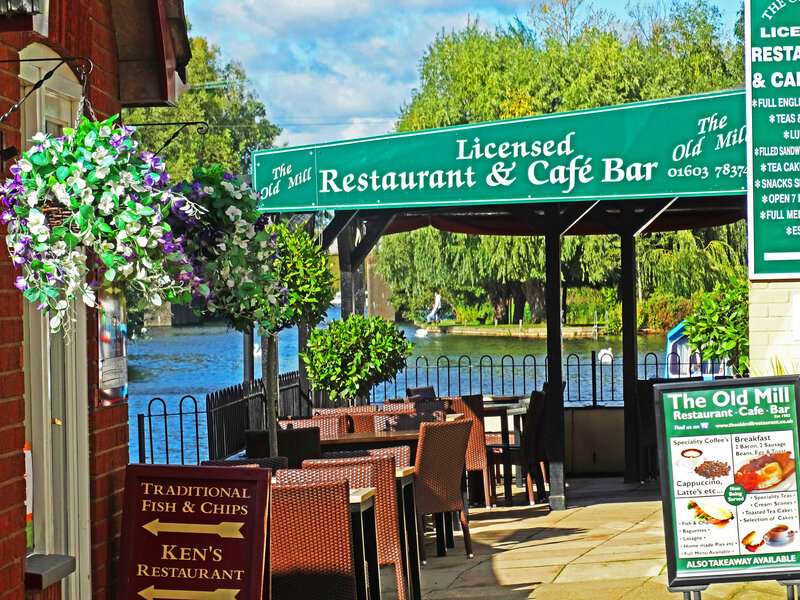 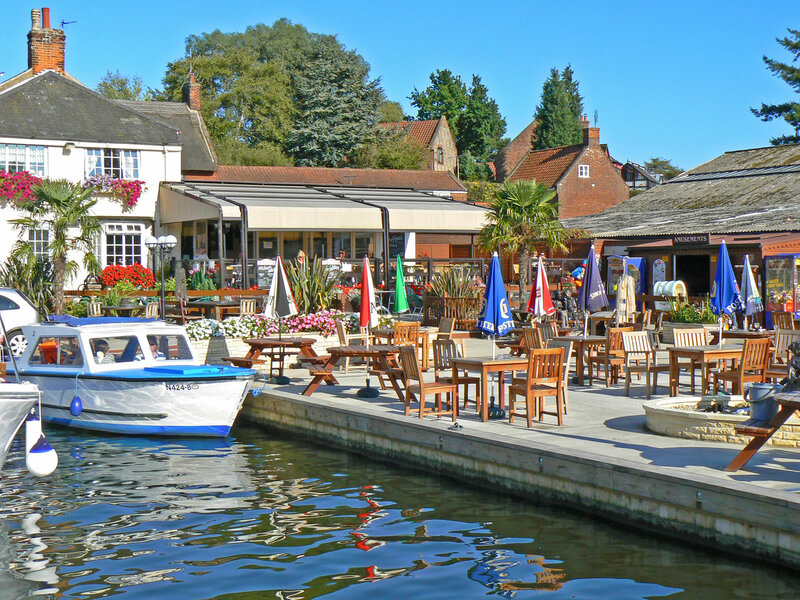 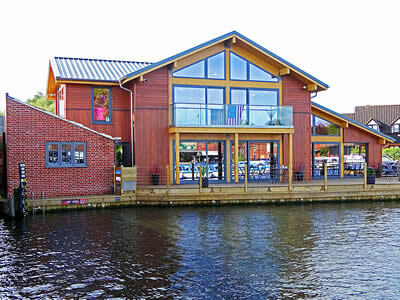 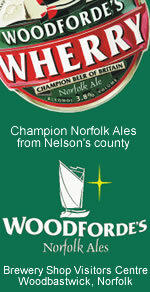 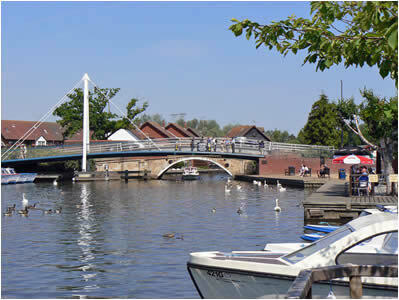 Wroxham also has a good choice of places to eat and drink, including restaurants, pubs and cafes. 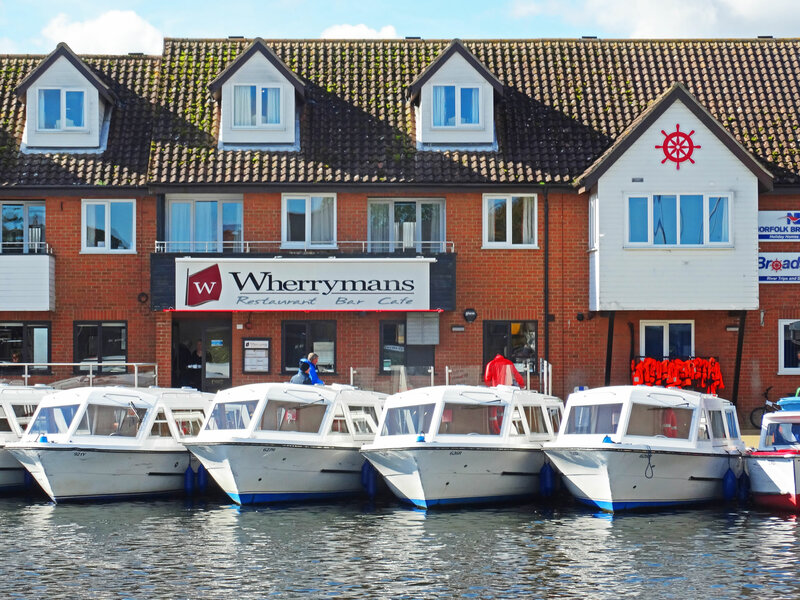 With plenty of FREE car parking, Wroxham is a popular day out all year round. 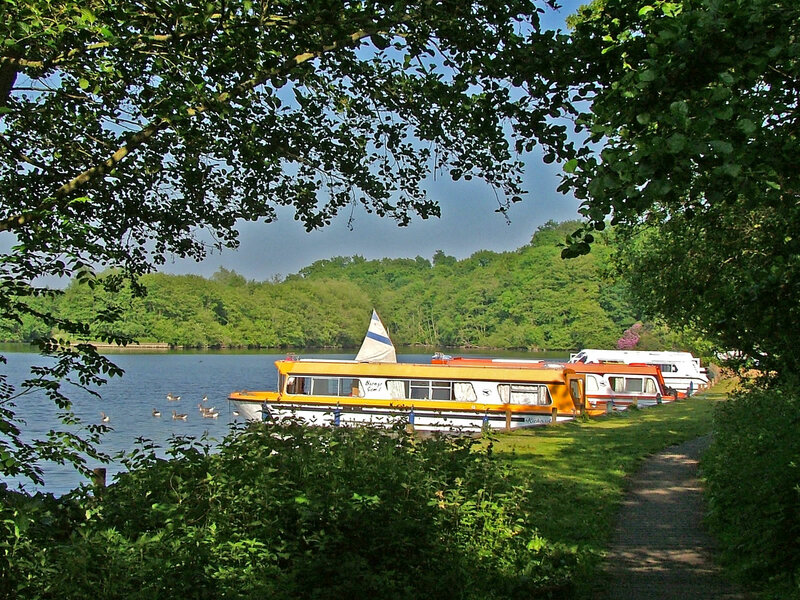 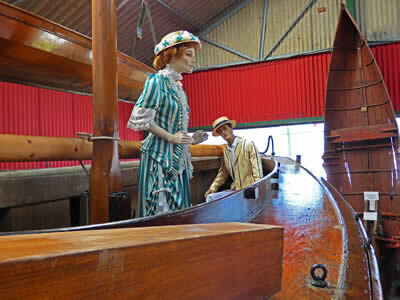 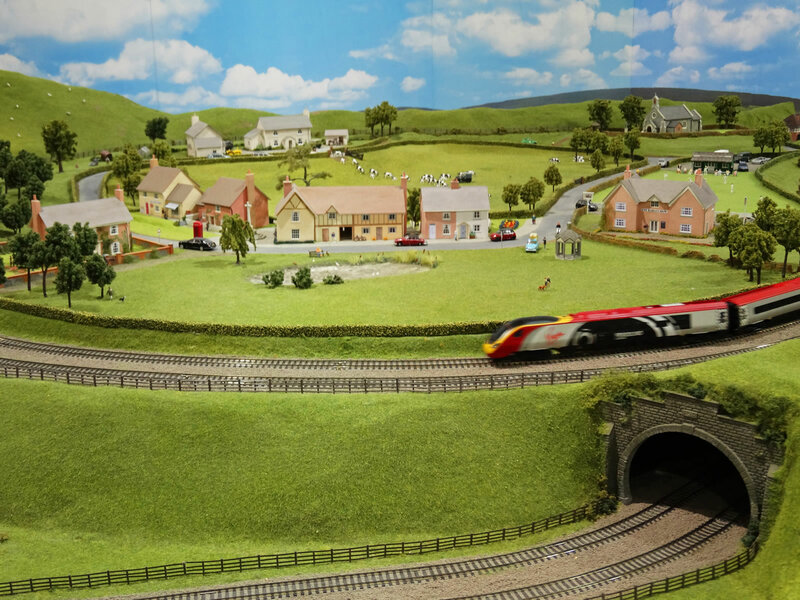 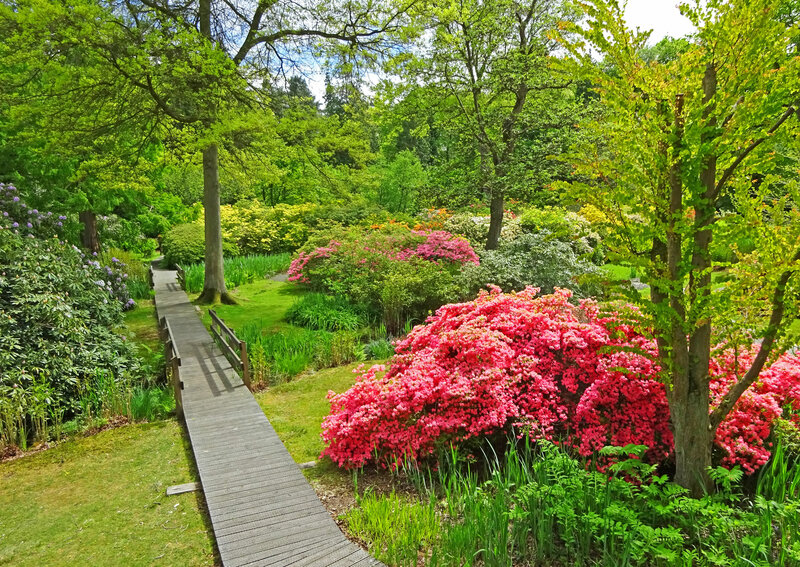 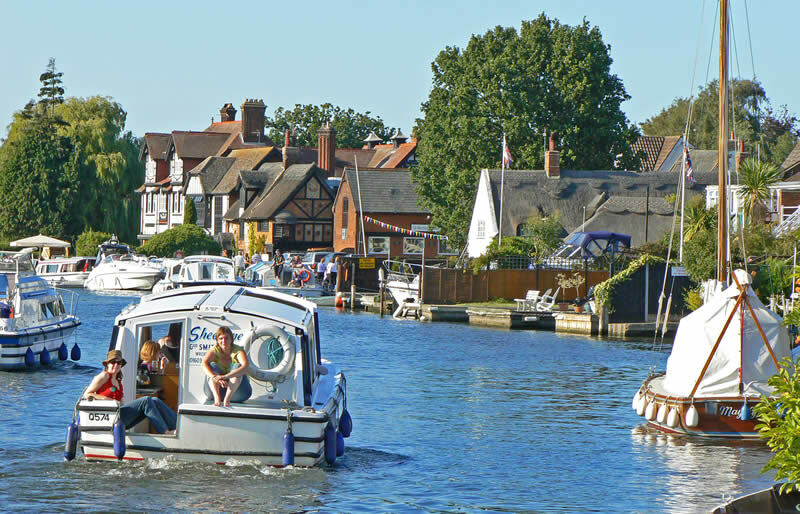 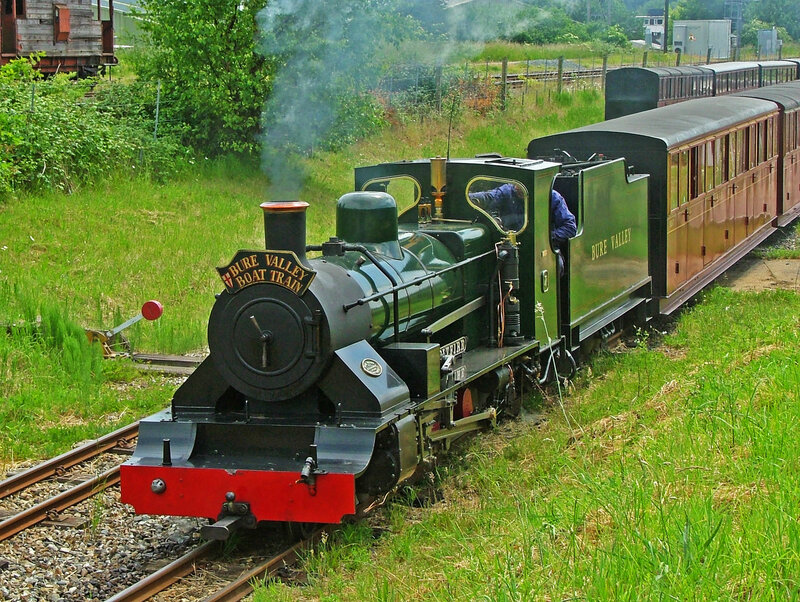 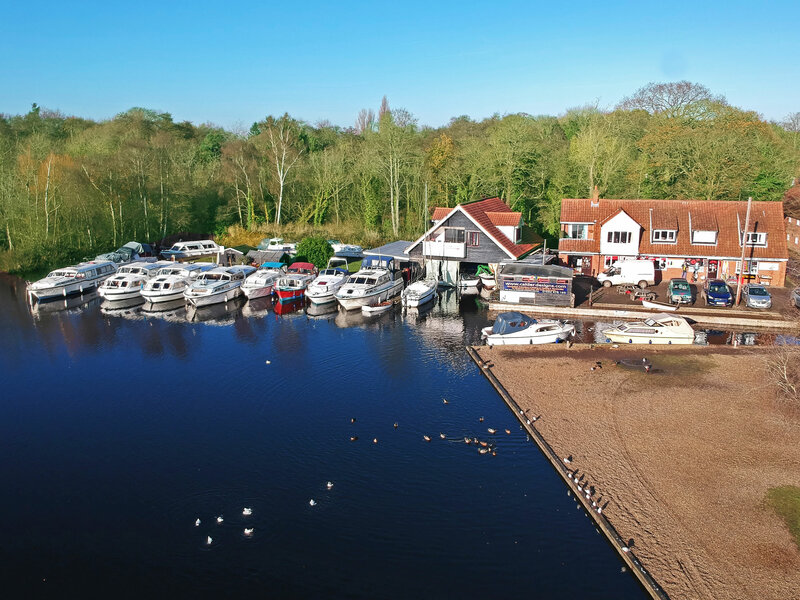 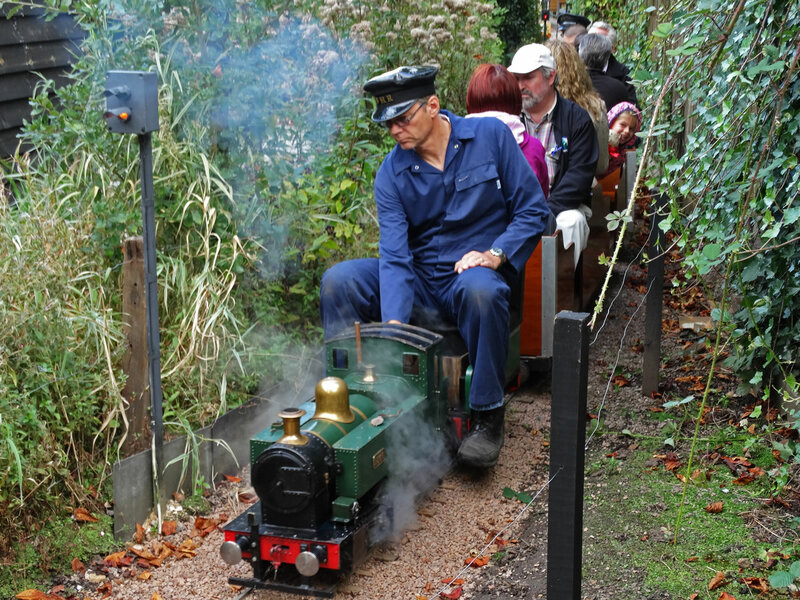 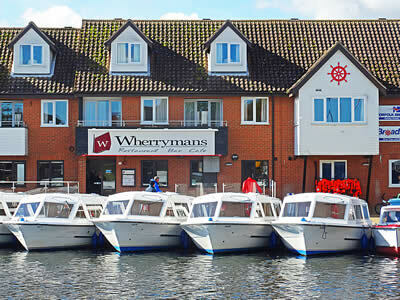 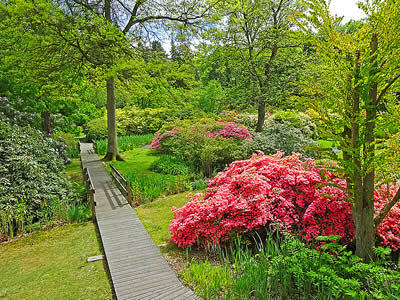 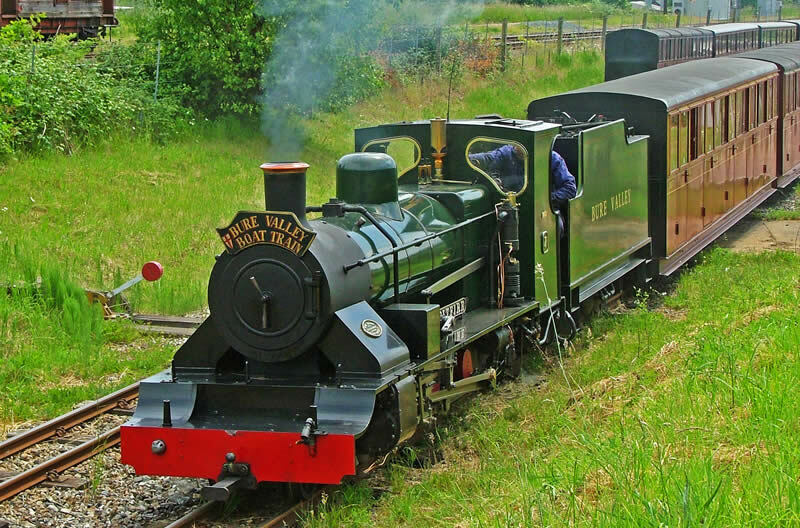 Wroxham has plenty of tourist attractions located in the local area, including the Bure Valley Railway, Miniature Worlds, Wroxham Barns, Barton House Railway, Hoveton Hall Estate, Bewilderwood and Fairhaven Woodland and Water Garden. 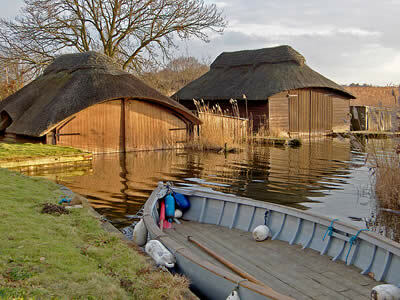 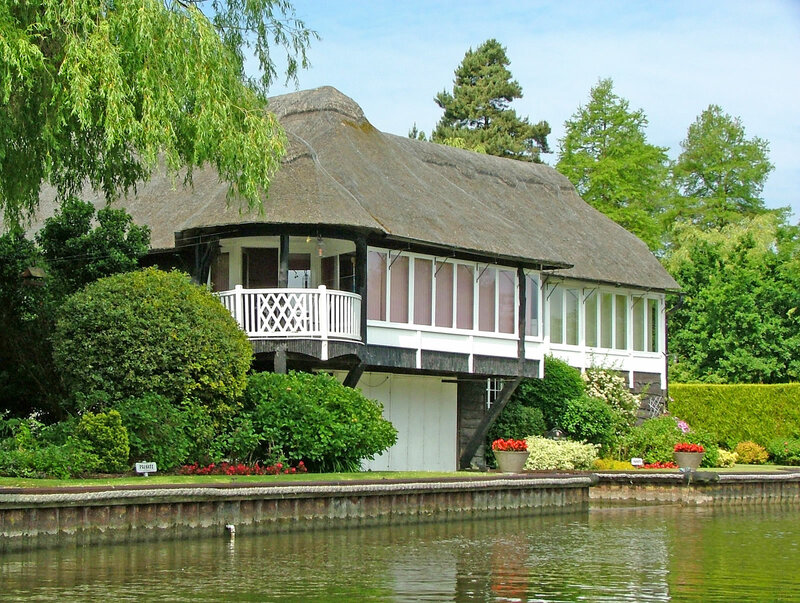 Next on our tour around the Norfolk Broads is Salhouse Broad, located a little way down the River Bure from Wroxham. 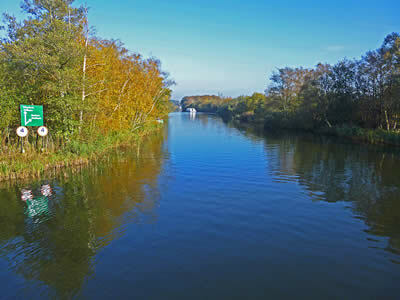 Salhouse Broad takes our vote as the most beautiful of the Norfolk Broads and yet it is one of the smallest. 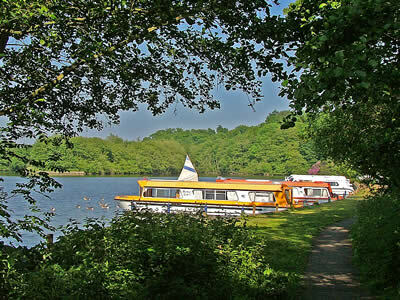 It is surrounded by ancient woodland and is the only Broad to feature a small sandy beach. 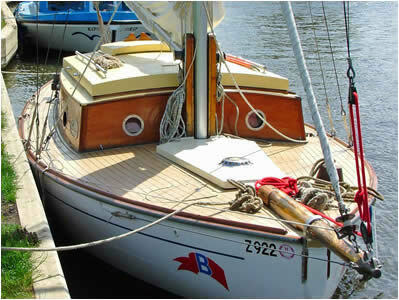 It is ideal to anchor the boat and go for a walk, enjoy a picnic or let the kids splash around. 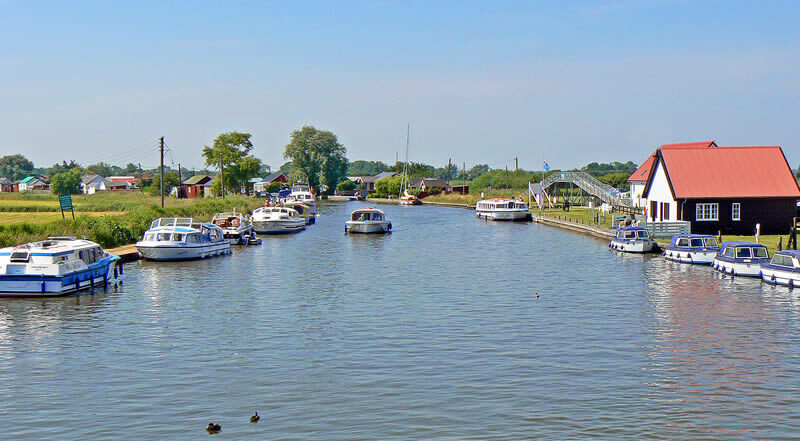 A short cruise down the River Bure takes us to Horning. 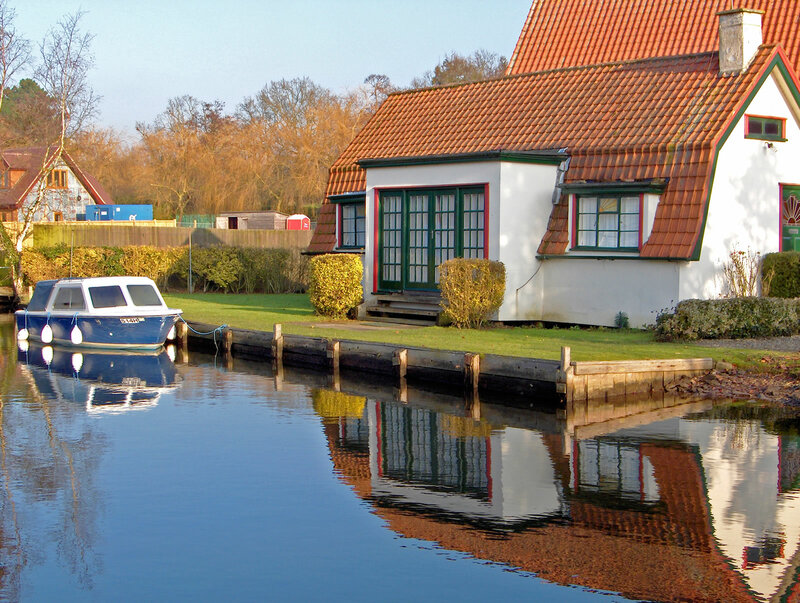 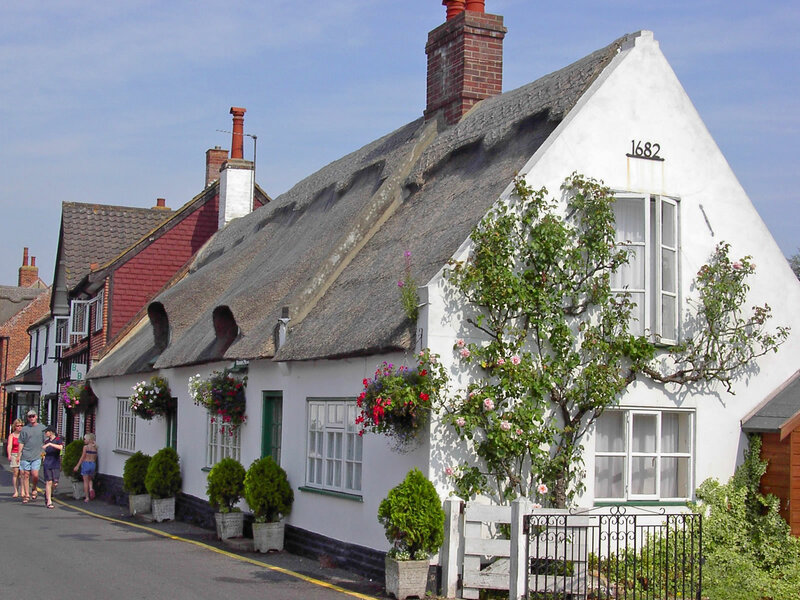 This is one of the most picturesque villages on the Norfolk Broads and contains some fine old cottages, shops, pubs with river gardens and riverside walks. 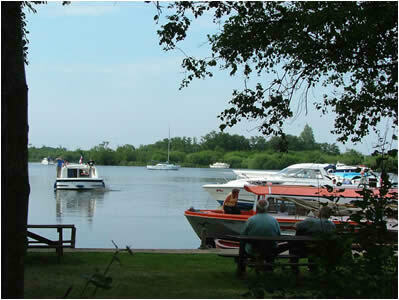 Horning is also one of the main boating centre's on the Broads. 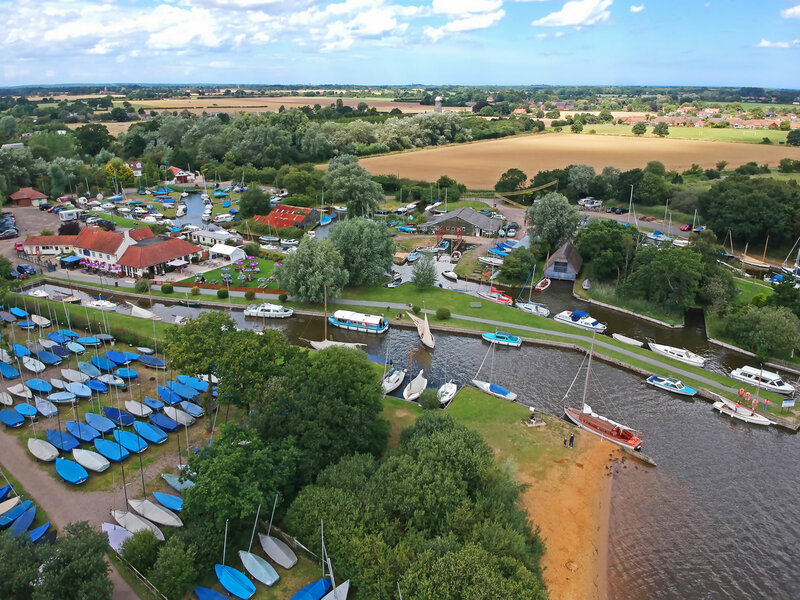 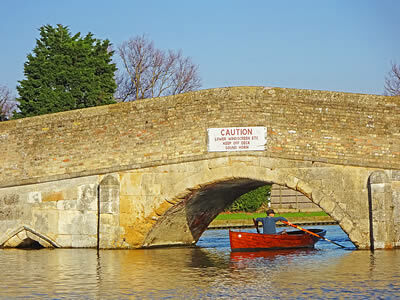 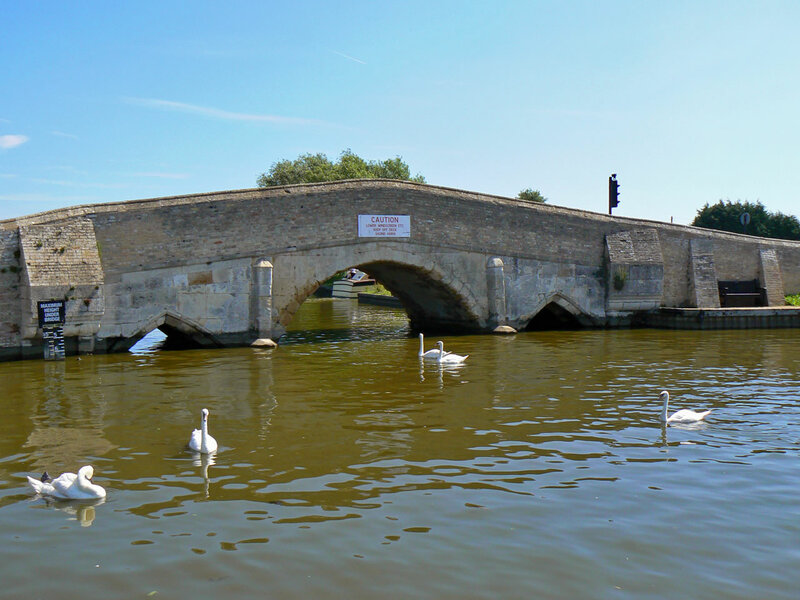 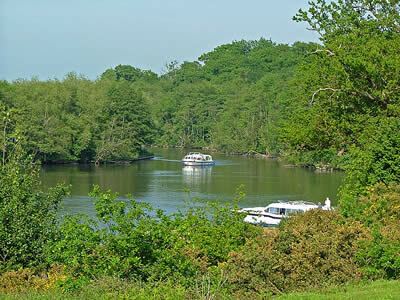 From here you can take a cruise aboard the paddle steamer "Southern Comfort" or watch the sailing from the Horning sailing club, which organise's the famous annual three rivers race. 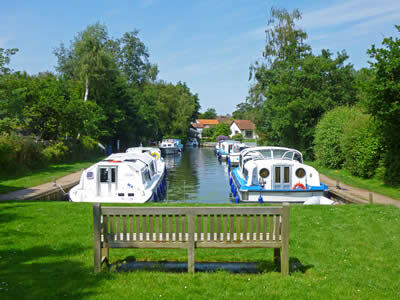 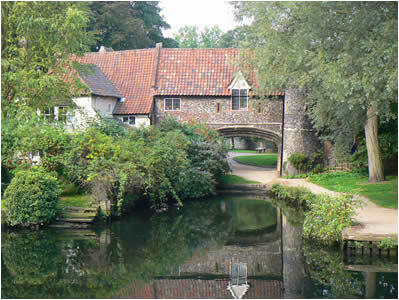 Downstream, just off the main river, you will find the lovely village of Ranworth. Here you will find the Cathedral of the Broads - a beautiful old church with steps allowing you to climb the church tower for fantastic views over the Broads. 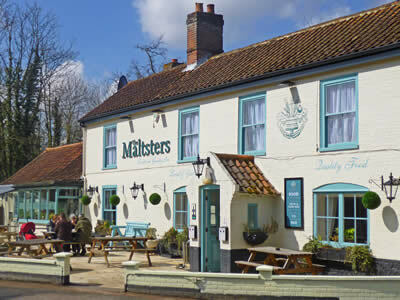 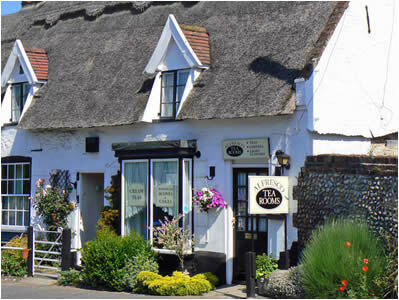 The village also has a fine pub (the Maltsters), a nature reserve and attractive local walks. Ranworth Broad is a boating paradise with all style, shape and size of boat, and their crew can often be found having a pint of local beer in the pub! Ranworth Broad is said to be haunted by a 12th century monk that is often seen rowing his boat out onto the Broad early in the morning mist. 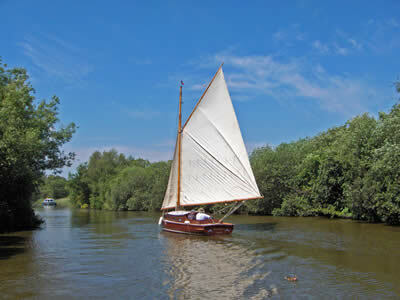 Moving up the River Ant, we pass How Hill, a lovely place to moor up and explore. 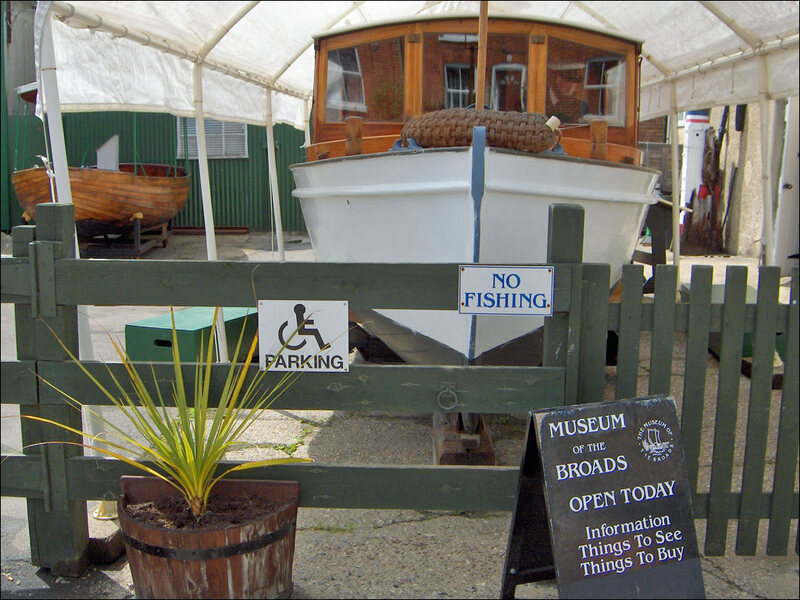 Although the main house is not open to the public (as it is a study centre) there is loads of things to see and do at How Hill. 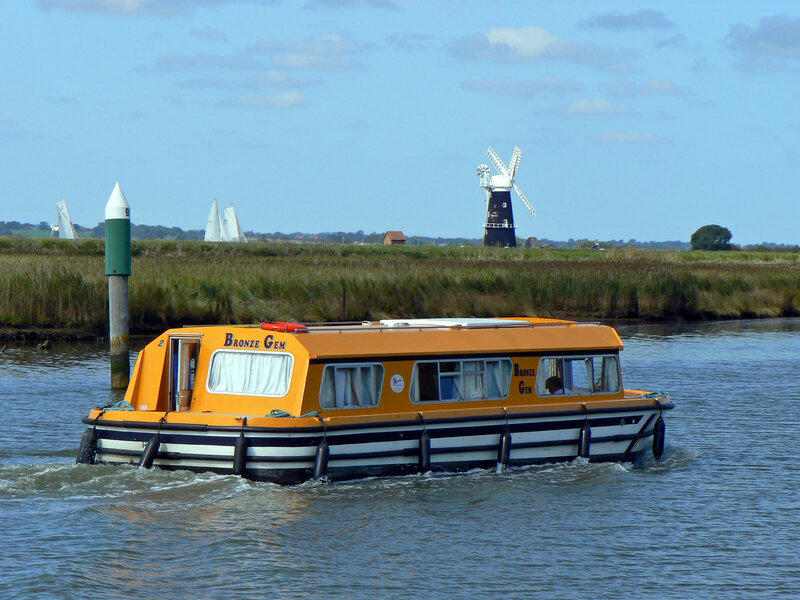 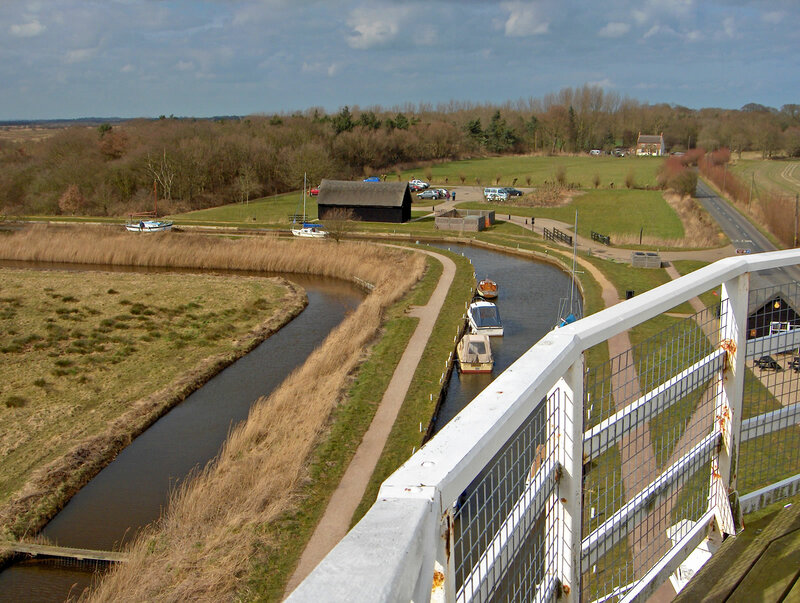 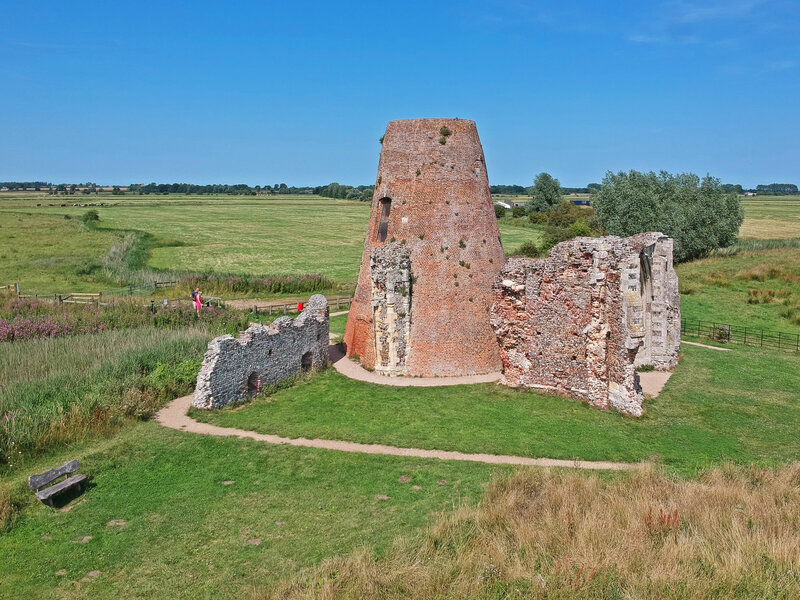 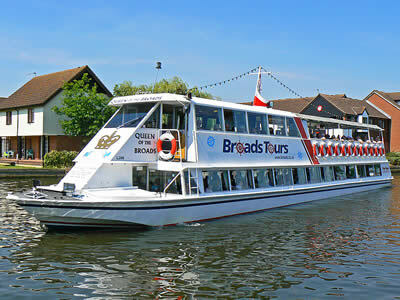 You can enjoy views of the river, including Turf Fen windmill, or take a river trip aboard the "Electric Eel", operated by the Broads Authority. Adjacent to the staithe is a small marshman's cottage, open as a free museum during the summer months. Walking up the hill towards the house, you will also find a nature reserve (small cost), a beautiful secret garden (free) and a large grass field for a picnic or family games. 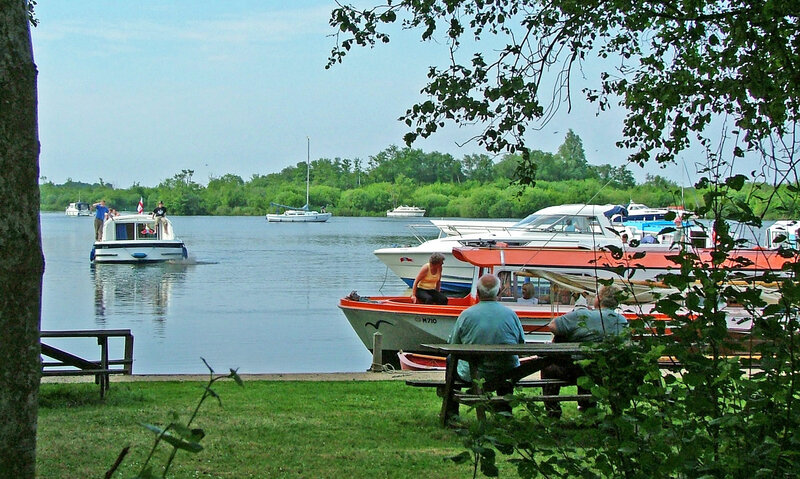 The River Ant opens onto beautiful Barton Broad, the second largest of the Norfolk Broads and until recently you could only enjoy its delights from a boat. 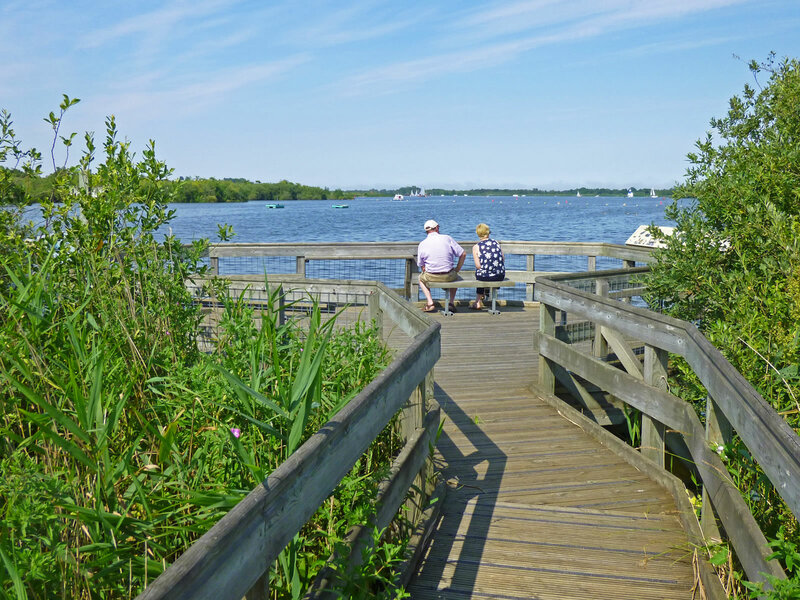 The Barton Boardwalk changed all that by providing a viewing platform at the end of a walkway through ancient woodland. 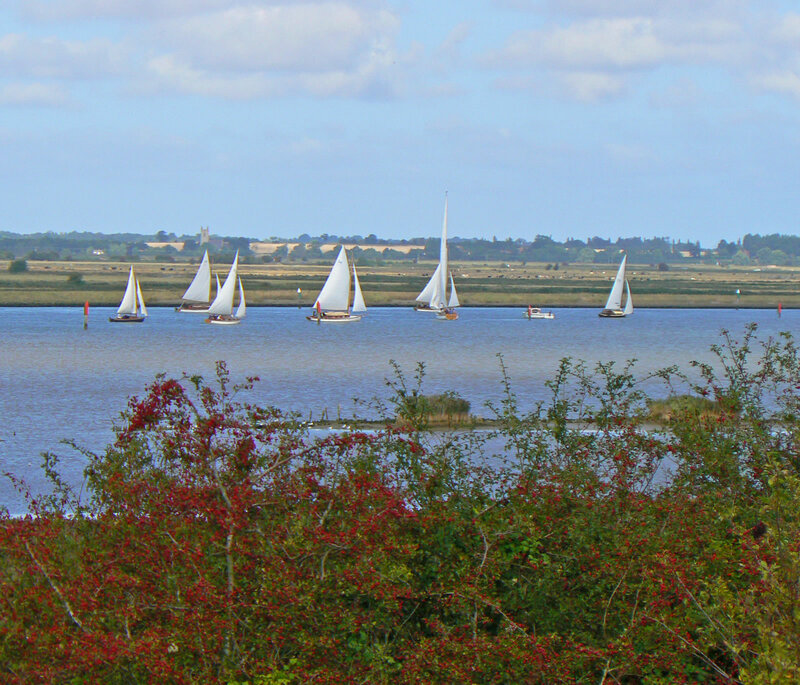 Barton Broad itself is a magnet for boats, particularly sailing. 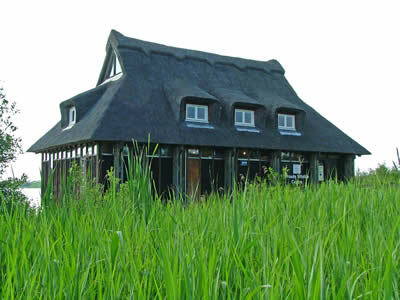 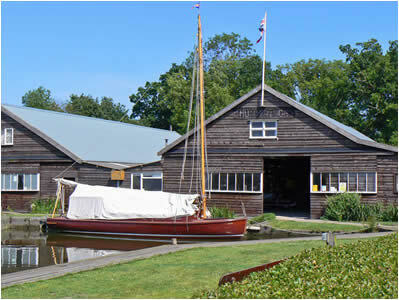 The Broad is also home to the Norfolk Punt Club, one of the most famous sailing clubs on the Broads. 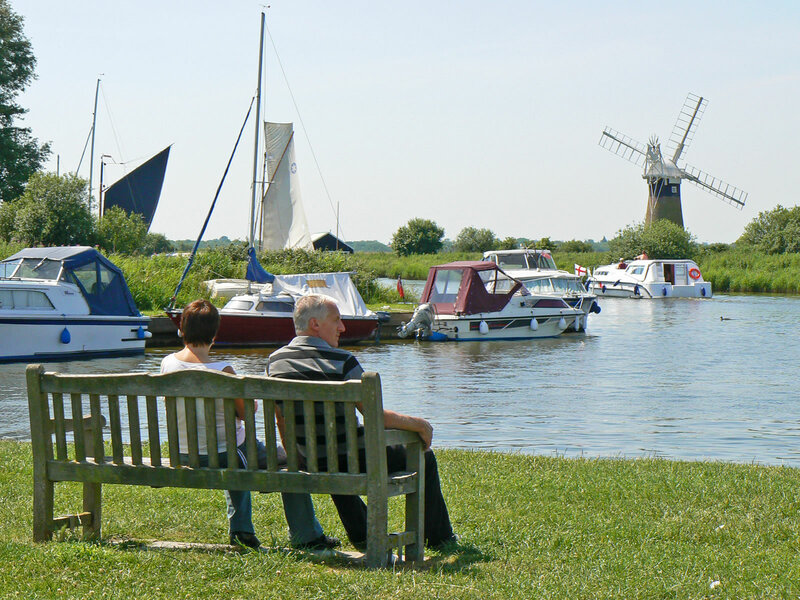 The villages surrounding Barton Broad (Neatishead, Irstead and Barton Turf) offer much to the visitor, including historic churches, a fine village pub and plenty of beautiful countryside to explore on bike or foot. 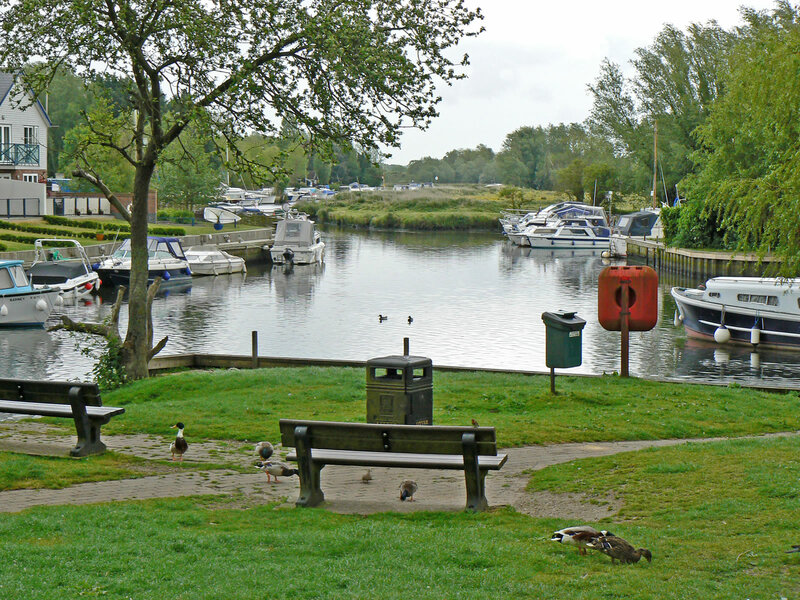 Upstream from Barton Broad are the villages of Stalham and Sutton. 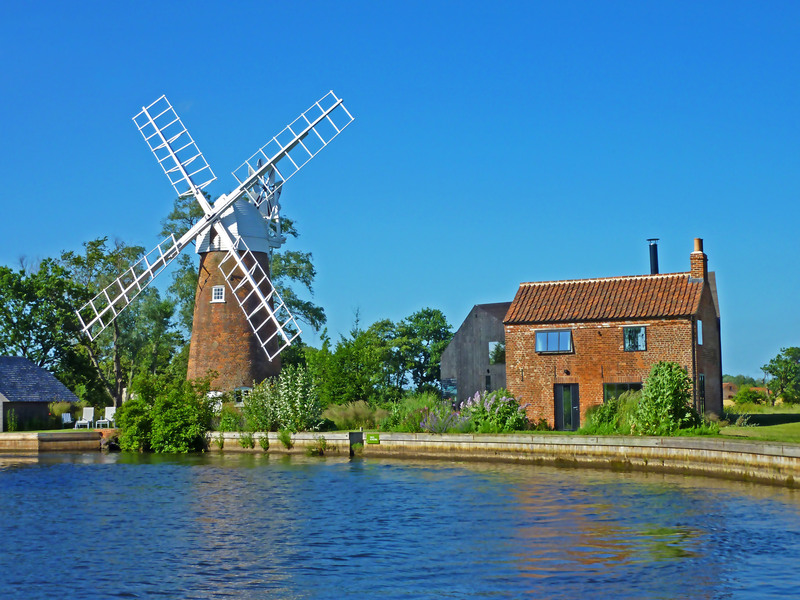 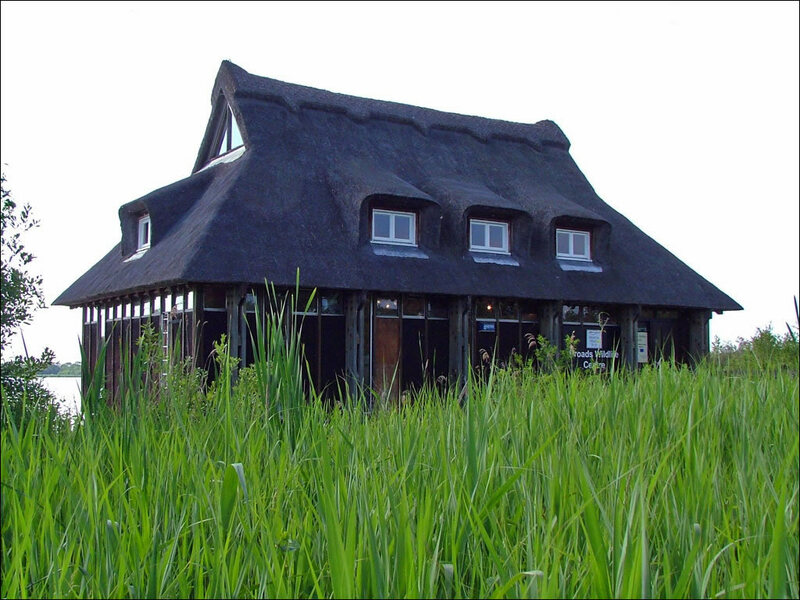 Stalham is home to the Broads Museum, showcasing the history of the Norfolk Broads, including mans influence on the Broadland landscape. 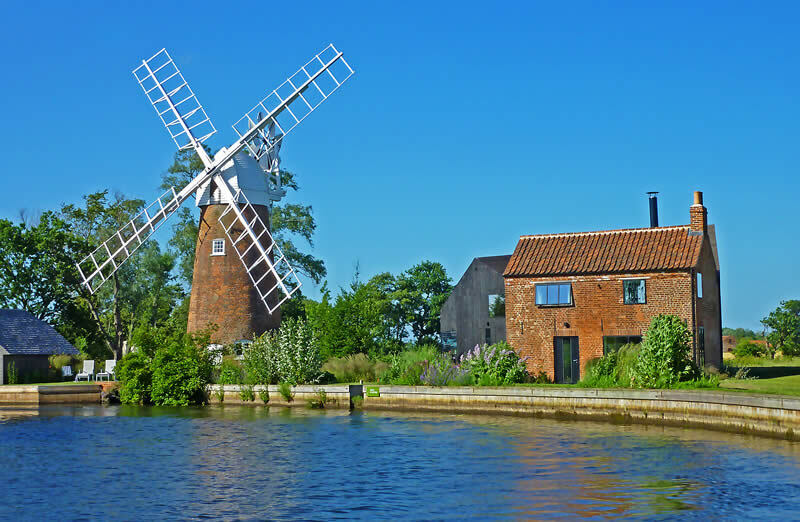 Returning to the river, you will can also find one the most picturesque windmills in Norfolk - Hunsett Drainage Mill - now privately owned. 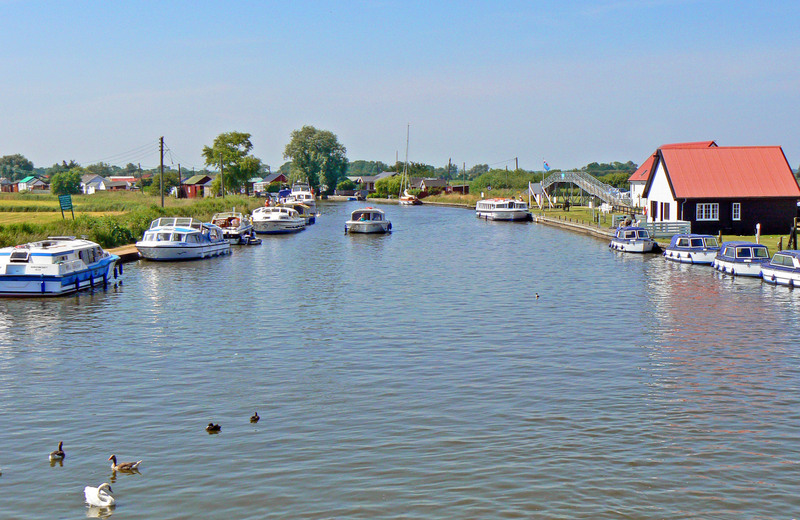 Returning to Thurne Mouth we come to the junction of the River Bure and River Thurne. 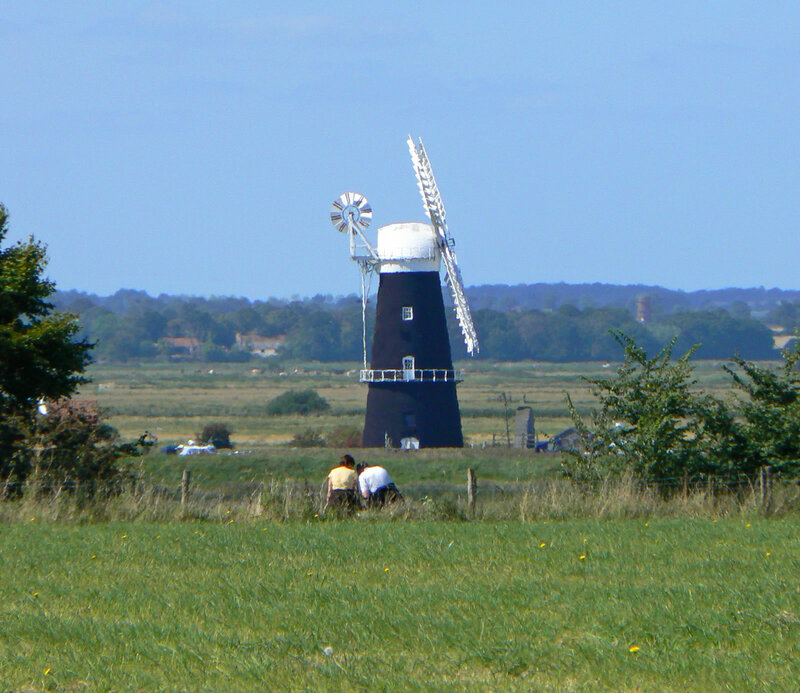 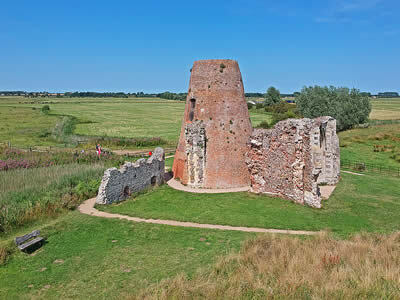 The village of Thurne is marked by its famous white windmill and is also on the Weavers Way, the long distance footpath covering much of Broadland. Womack Water leads from the River Thurne to the village of Ludham. 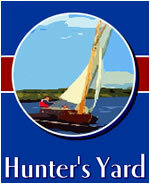 Here you will find Hunters Yard, the home of the Hunters Fleet, who hire out original heritage 1930's gaff and lug rigged yachts. 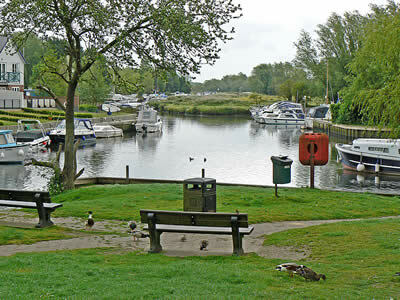 Ludham village also has an attractive staithe and tea room. 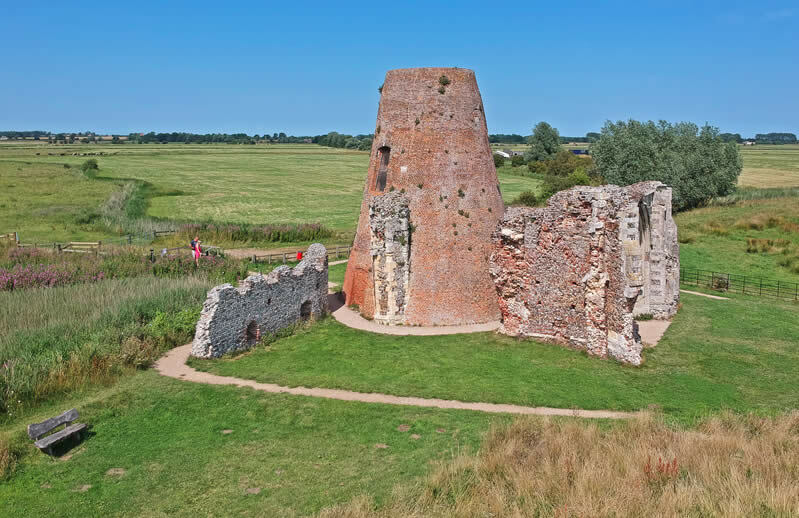 A road leads from the village towards the ruins of historic St Benets Abbey, founded in 1020 and at one time was one of the wealthiest Benedictine houses in the country. 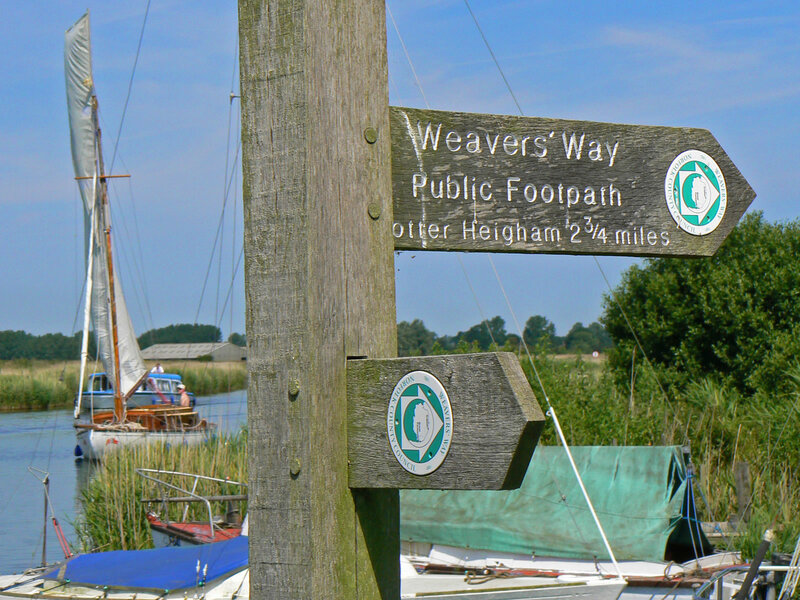 Further up the River Thurne lies the village of Potter Heigham. 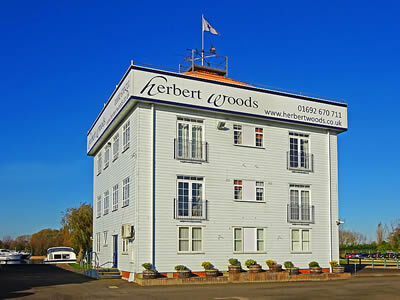 Here you will find the famous medieval low arched bridge and the Herbert Woods Tower. Herbert Woods is one of the most famous names in the Norfolk Broads boat hire industry and he built the first ever yacht marina on the Broads at Potter Heigham. Above Potter are the villages of Martham, Hickling and Horsey. 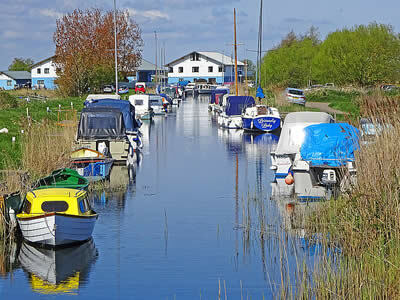 These are lovely remote places to visit, as many boats cannot navigate through Potter bridge to get here! 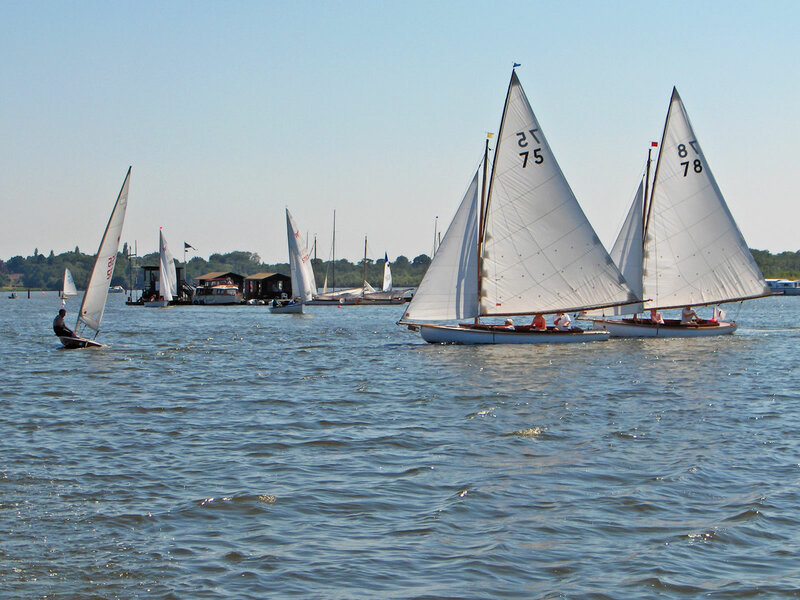 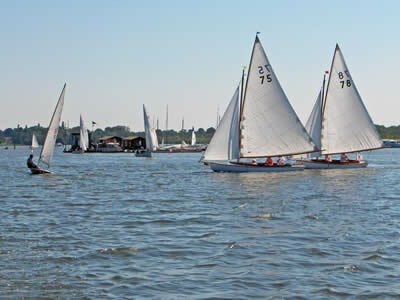 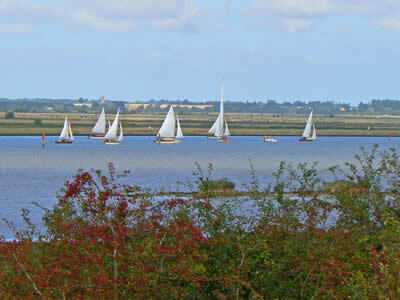 The largest expanse of water is Hickling Broad which is popular with sailors from Hickling sailing club. 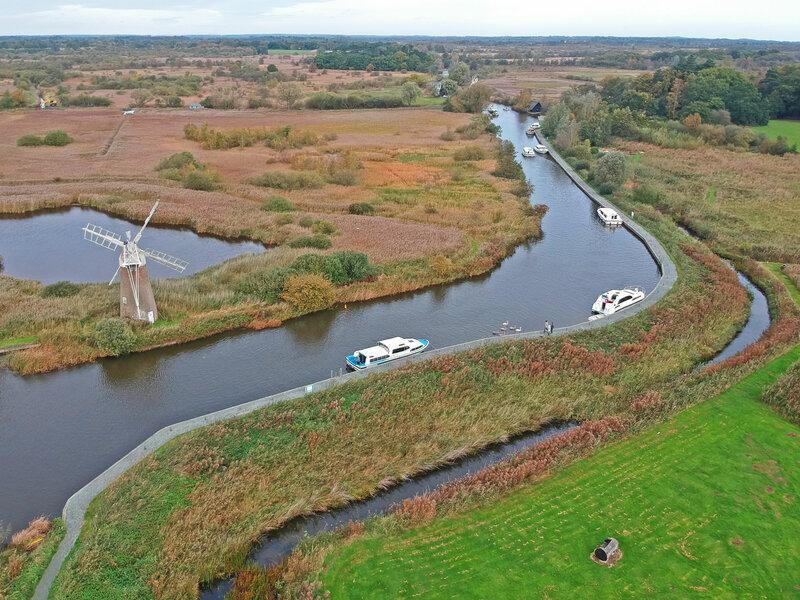 From Hickling, a dyke leads to Horsey, the closest of the Norfolk Broads to the the sea. 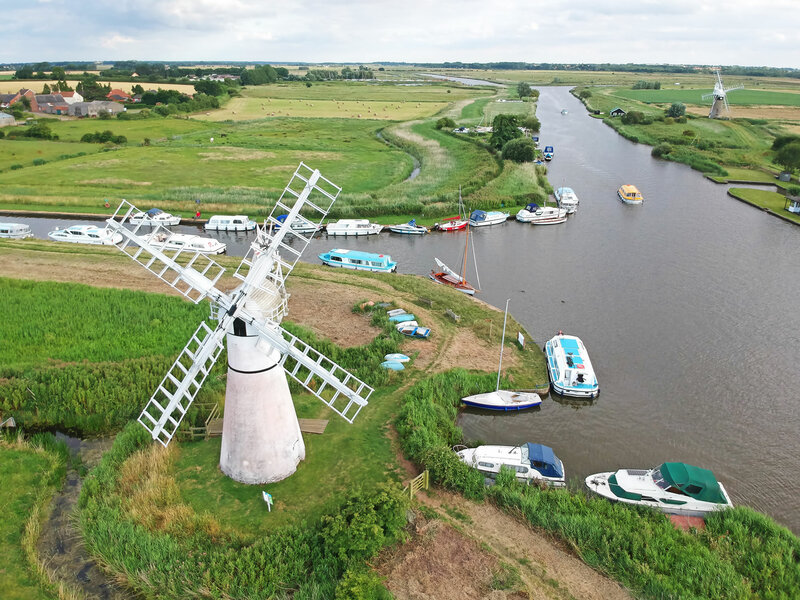 Located on the staithe at Horsey is a fabulous four storey windpump, that was built in 1912 and is now owned by the National Trust. 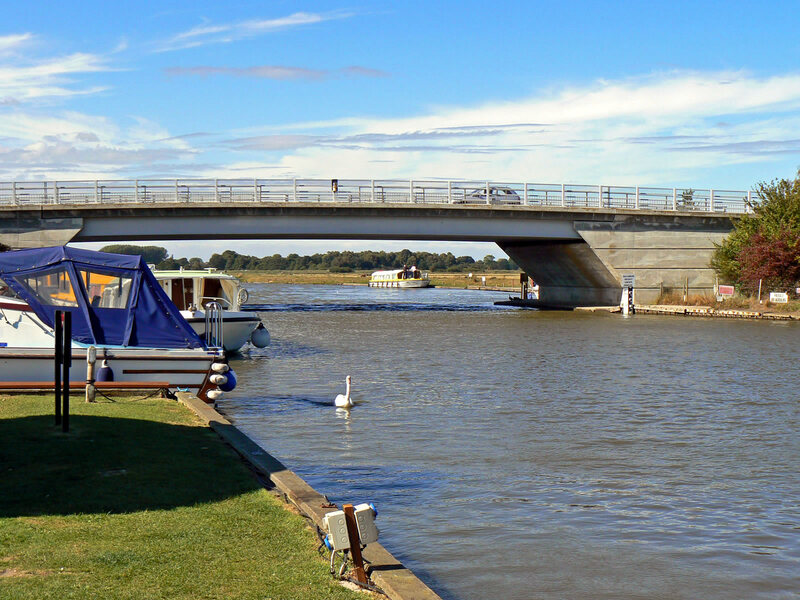 Returning back to Thurne Mouth, the River Bure continues its journey across the Norfolk marshes, through the bridge at Acle and towards the sea at Great Yarmouth. 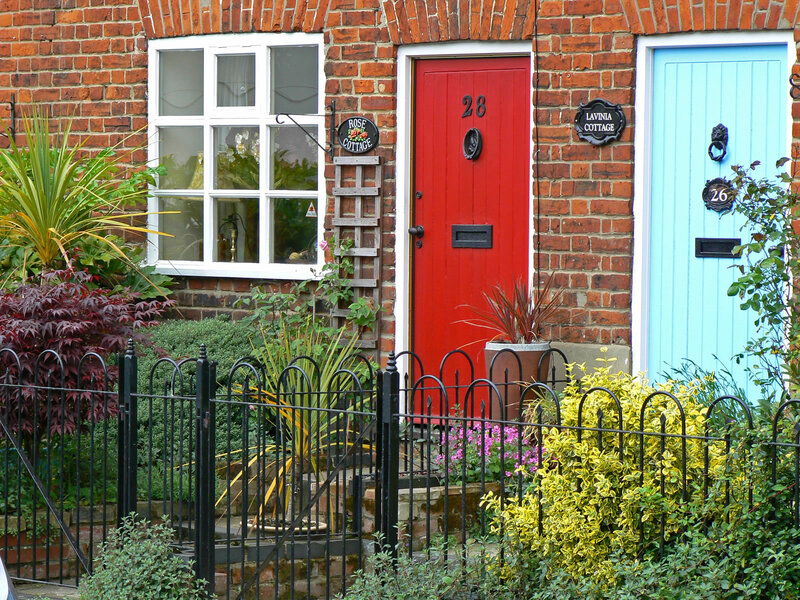 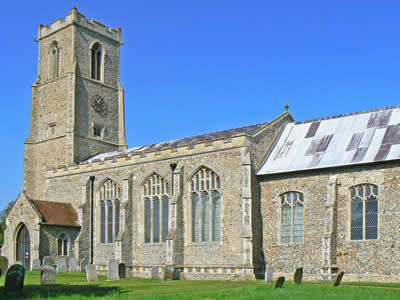 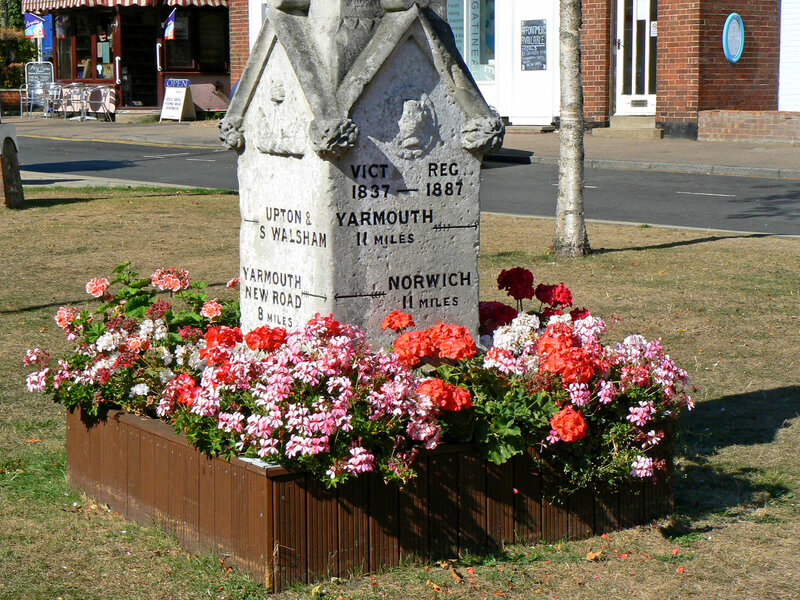 Acle is a lovely riverside Norfolk market village, with plenty of historic buildings to admire. 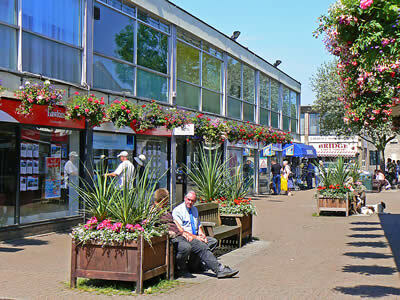 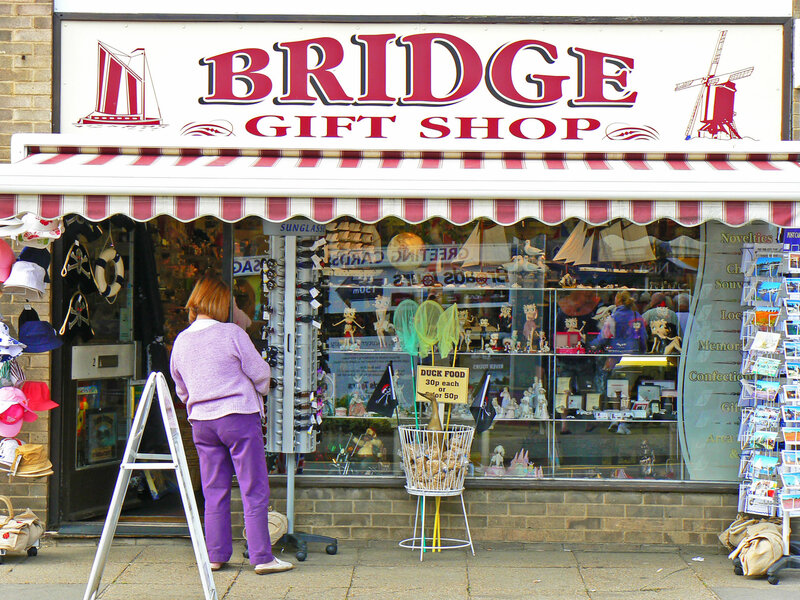 The village also contains plenty of shops and other facilities. 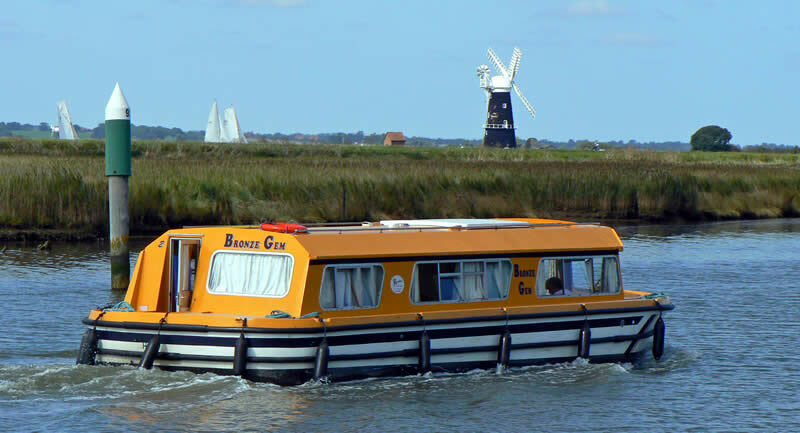 Across Breydon Water are the Southern Broads which lead to Loddon, Reedham, Brundall and the Norfolk Suffolk border, before eventually arriving in the capital of East Anglia - Norwich. 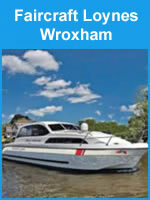 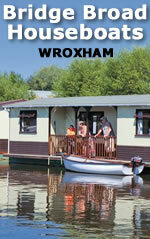 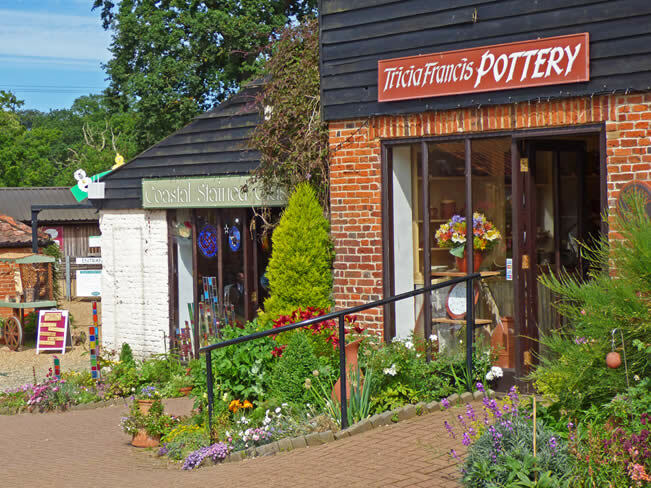 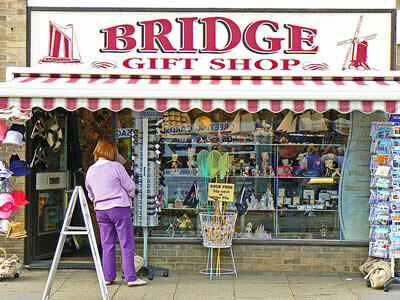 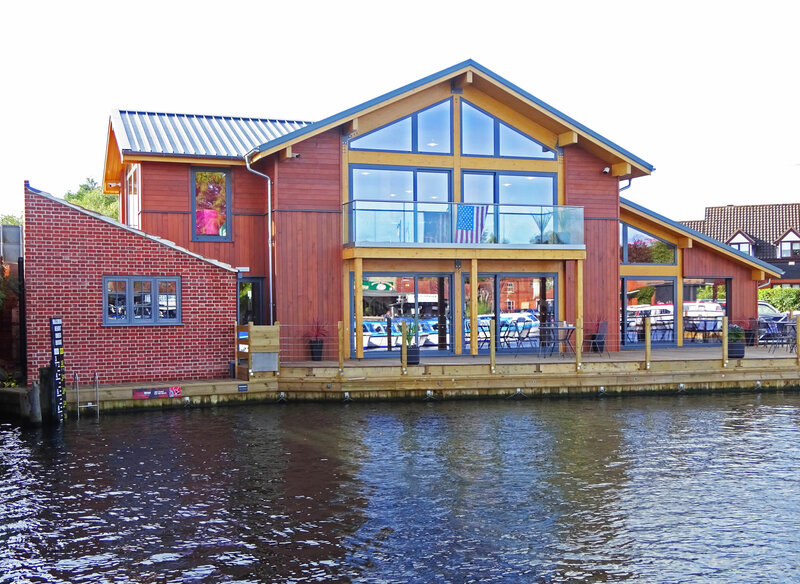 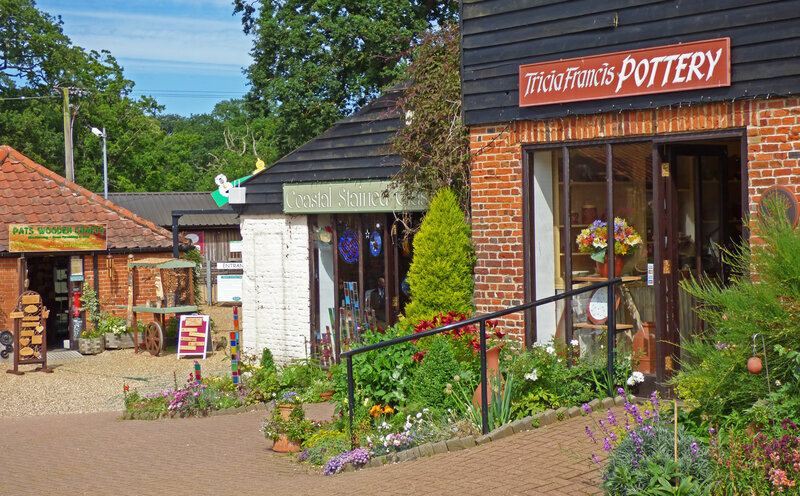 Visit the capital of the Broads at Wroxham and enjoy some shopping! There is nothing quite like the Norfolk Broads anywhere else in the UK. 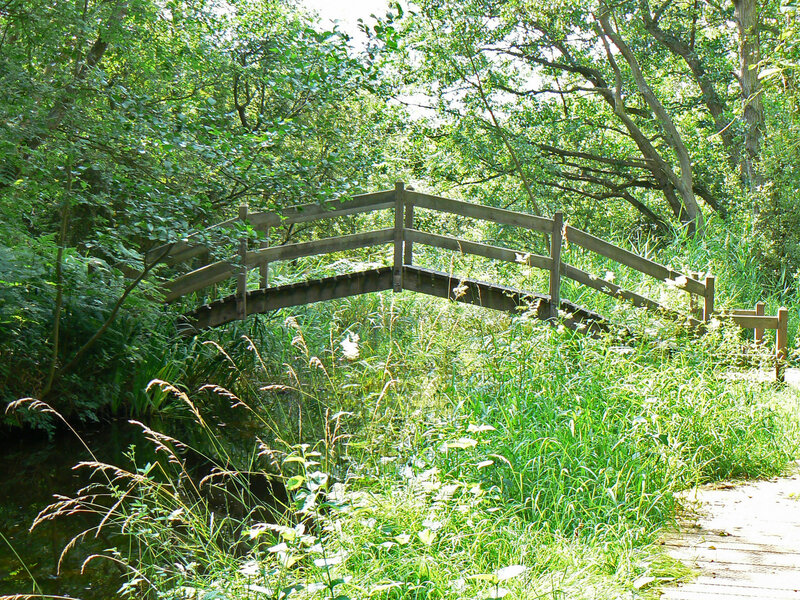 It is a beautiful mix of woodland, marsh, meadow, water and sky. 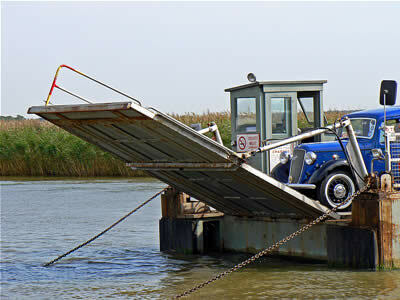 But to enjoy it you need to get out on a boat, a visit by car will usually prove disappointing.